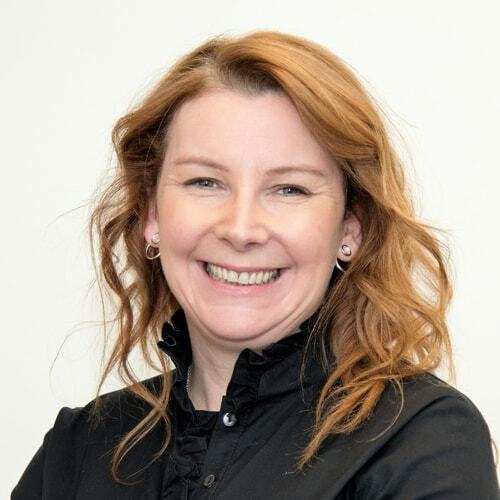 Mindset Coach @ Make Life Simple Ltd.
Tricia Smyth is Head of Diversity and Inclusion (D&I) for Dell Technologies in Europe, Middle East and Africa (EMEA). 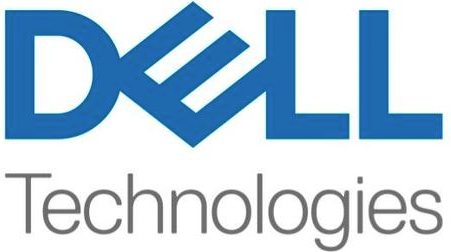 At Dell Technologies, Diversity & Inclusion (D&I) is a core part of our success. It’s more than what we do – it’s who we are. 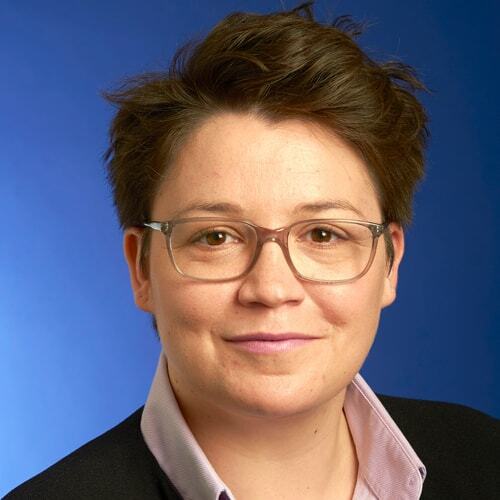 Having full leadership buy-in is critical when creating real change within organisations and as part of her role, Tricia works with business leadership teams to drive a business driven culture of diversity inclusion, and to ensure Dell remains an employer of choice. Tricia is also responsible for driving leadership commitment, engagement of customers and team members in the D&I agenda, and promoting partnerships and engagements with global companies and advocates. Based in Cork, Ireland, Tricia brings a wealth of international experience across her +15 years’ of passionately driving D&I initiatives and employee engagement across all of her previous roles. 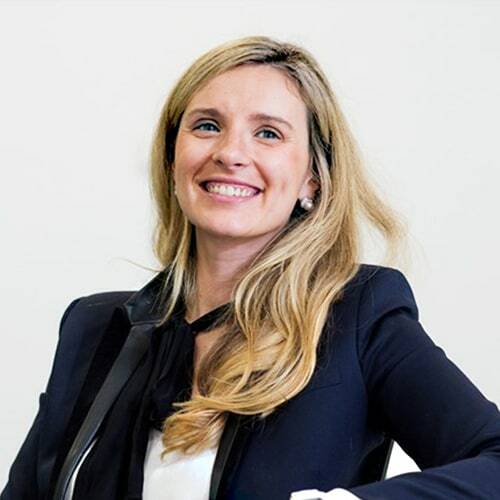 An IT engineer with a degree from EPITA and a HEC Master degree, Claire Calmejane began her career in 2006 in the Technology Transformation department of Capgemini Consulting, where she supported companies and especially financial institutions in their technological and digital transformation. 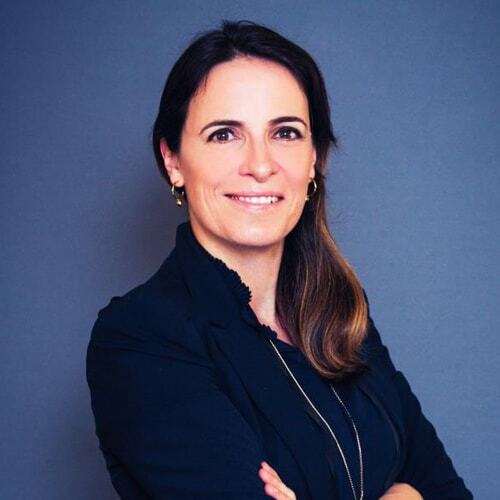 Contributing to a study on the digital transformation of large companies led by MIT in 2011, she joined the London office of Capgemini to lead the digital center of the Financial Services sector. 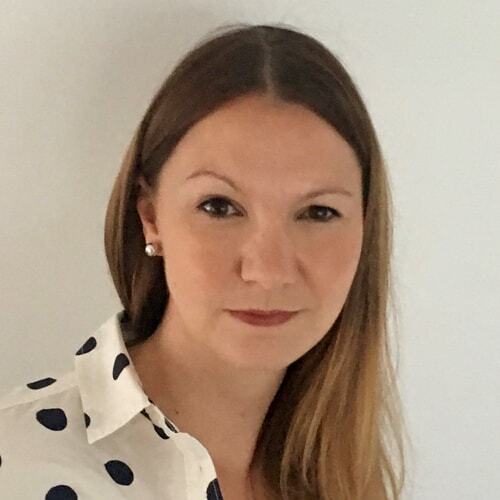 Recruited in 2012 by Lloyds Banking Group, as Head of Digital Delivery in the Online Services Department, she was appointed Innovation Director and set up the Innovation Labs and the Digital Academy. She was until now Risk Transformation Director at Lloyds Banking Group. 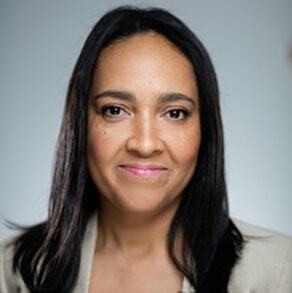 Claire Calmejane is one of the leading figures of diversity in tech in Europe. She has received several awards (Fintech 35 under 35 in 2018, Digital Leader in 2017) and regularly gives lectures on the fintech ecosystem and digital transformation at MIT, CFTE, Oxford and HEC. She is also a member of the World Economic Forum's “Future of AI and Financial Services Automation” project and support charity in their digital strategy as well as training digital champions to enable all citizens to realize their potential online. Chris is the VP of Infrastructure and IT at the world’s largest travel company, Expedia Group. He leads a global team of over 700 people who are responsible for providing IT infrastructure and support for Expedia’s eCommerce platform along with 25,000 employees in over 200 offices worldwide. Chris is currently based in London and frequently travels to the US, India and Europe as part of his global remit. He has been with Expedia for 17 years. Chris is an ally, advocate and sponsor for Diversity, Inclusion and Gender balance he sits on Expedia’s Global Inclusion forum. He has anxiety around public speaking at large events but is trying to learn from his 8-year old daughter who has no fear. Like most Expedians, he has a passion for travel and loves visiting new countries and experiencing different cultures with his wife and two children. 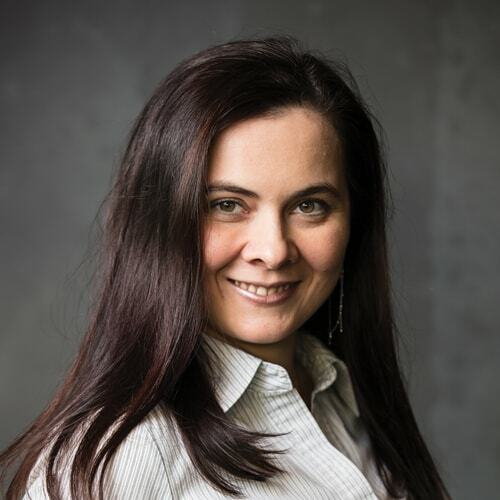 Doina Popa has established a reputation as a pioneer for women in technology, becoming the first woman outside the US to achieve Salesforce Technical Architect Certification and, at the time of the achievement, the third globally. 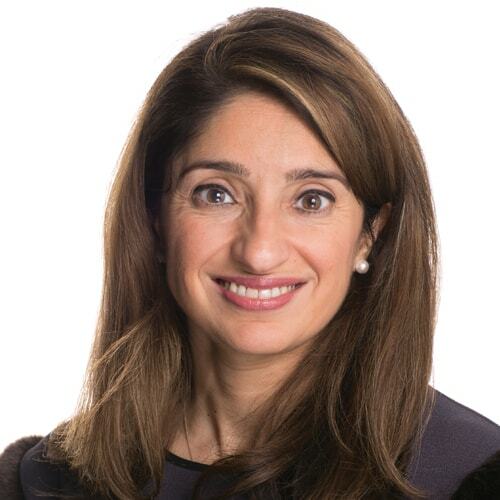 Her career trajectory exemplifies both her talent and her leadership abilities, spanning three high-profile roles for three game-changing organisations – Salesforce, Capgemini, and now as the CIO for Salesforce at Barclays. Her work has been consistently recognised by her peers for her ability to innovate and deliver customer excellence. Catherine graduated from the University of Liverpool in 2001 with a degree in Computer Information Systems and a serious disinterest for all things code related. 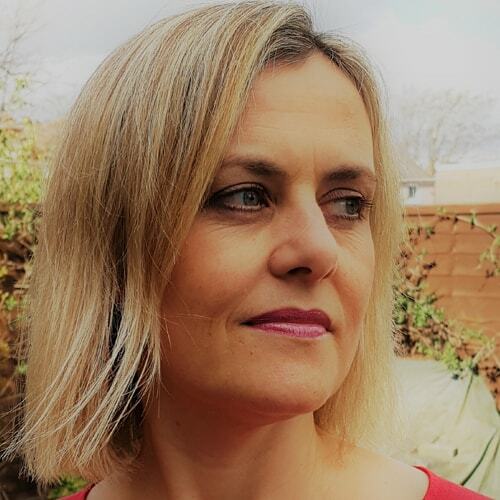 Seventeen years on and after vowing that “Tech was definitely not her world”, she is now a Technology Director at the FTSE 250, online comparison business, Money Supermarket Group. Catherine has held numerous Technology and Commercial leadership roles throughout her career with Marconi, Taylor Woodrow and Auto Trader. She has a real passion for creating successful products, slick customer experiences and happy, highly performant teams through her understanding of the evolution of product engineering practices and her experience in digital transformation. Asif is Head of Diversity, Inclusion & Belonging for The Telegraph. Delivering the strategic plan to drive a co-ordinated approach across the business to focus both investment and intent on the broader inclusion agenda. He is a Multi-Award Winning Diversity and Inclusion expert with a proven track record in achieving operational and strategic targets, managing quality, performance, risk and change through promoting equal opportunities and diverse cultures. He is a passionate and inspirational leader with the ability to empower individuals and create a truly inclusive environment for all. Asif is key in implementing D&I activities and programmes as well as connecting with stakeholders at all levels to build strong and influential relationships with business leaders and influencers. 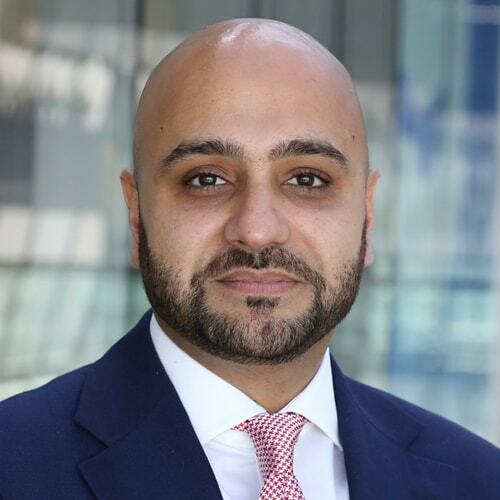 Asif acts as a role model, providing governance across the business on D&I and cultural change and is committed to creating a strong sense of belonging for all. Asif has received a number of accolades for his professional and volunteering work that include the Mosaic (Prince’s Trust) Award for mentoring and NAMP Multi Faith Award, Police Officer of the Year Award, European, the Civil Servant of the Year Award, the prestigious Asian Professional Award and the highly commended Head of Diversity Award at the European Diversity Awards. Asif was honoured last year in the Queen’s birthday honours list with an MBE for his services to Policing and the Communities and is a member of the HR Guild and is a Freeman of the City. He is currently the Chair of the London Hate Crime Board, an Ambassador for Remembering Srebrenica, Member of the APPG (All Party Parliamentary Group) on Hate Crime, Special Advisory to the charity Penny Appeal, a trainer for the OSCE Office for Democratic Institutions and Human Rights and a Special Sergeant with the City of London Police. 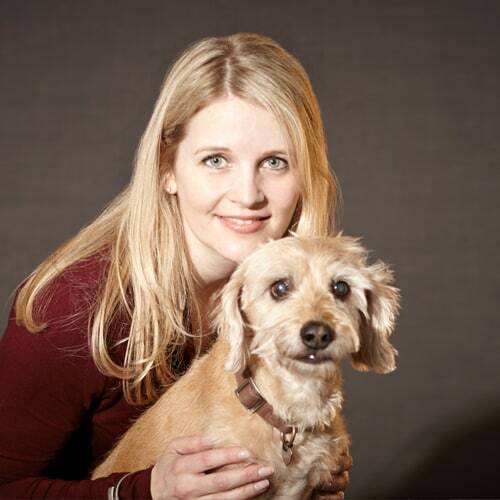 Rikke Rosenlund founded BorrowMyDoggy in 2012 after taking care of a neighbour’s dog “Aston” for the day. She soon realised that dog owners could use a helping hand to look after their dogs both for walks, weekends and holiday care. 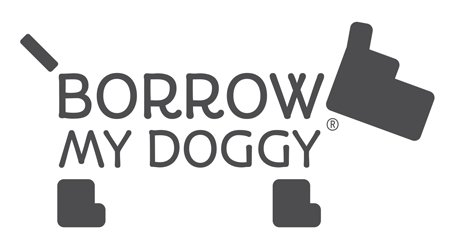 The concept for BorrowMyDoggy was born, with the aim to leave 'Pawprints of Happiness' on the lives of dogs and people. Before becoming an entrepreneur, Rikke worked in financial services in London and the automobile industry in Central America. Rikke has been involved in various NGO work including delivering aid in disaster areas, is born in Denmark and holds an MBA from INSEAD. Tara Hein-Phillips is the Chief Digital Officer at the Sundance Institute, and is the product lead for their new platform, Sundance Co//ab. She brings over 15 years of experience in digital transformation, new product development, and commercial management and has launched many successful products and services in that time. Her key areas of expertise are global strategy, new product development, and digital transformation, with a particular passion for digital education and the arts. A lifelong student, she has pursued degrees in theatre, literature, herbal medicine, and, most recently organizational psychology and leadership. 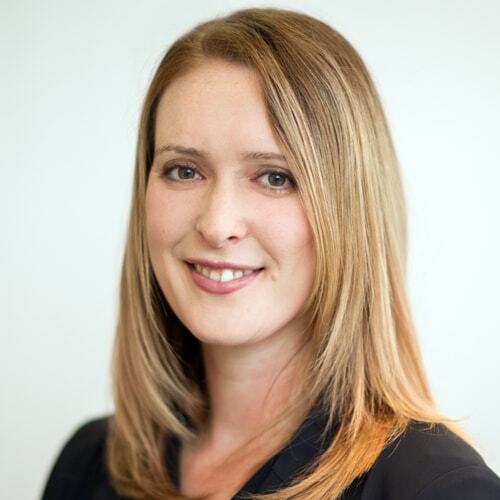 Dr Rebecca Pope is a clinical neuroscientist, TEDx speaker and part of KPMG in the UK’s leadership as its Head of Data Science and Engineering. 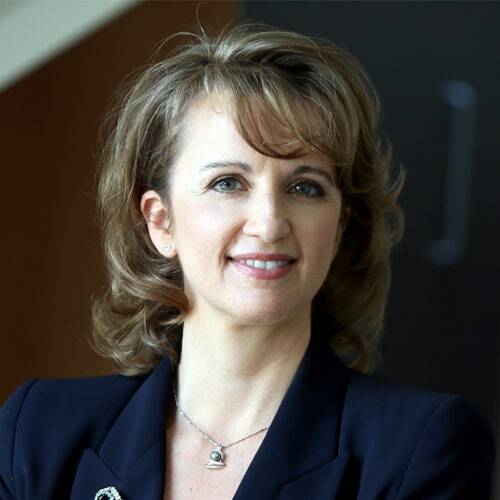 She leads KPMG in the UK’s Centre of Excellence to build scalable, high-performing data science and AI products to help transform and drive business value across the KPMG global network’s client base and across market sectors. Rebecca is an active and passionate member of various initiatives to foster diversity and inclusion in STEM, from school to the C-suite. 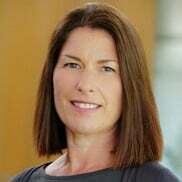 Maggie leads SAP’s digital innovation services business globally, helping companies create and maximise business value through the use of intelligent technologies such as IoT, machine learning, AI, blockchain and advanced data analytics. Maggie was recently named one of the world’s first Top 50 Edge Computing Influencers by Data Economy magazine, marking her commitment and contribution to innovation within the technology industry. She has significant experience building fast-growth digital businesses and previously led Digital Sales globally at Capgemini and Global Cloud Sales & Consulting for Fujitsu. Maggie is on the Companions Board of the Chartered Management Institute in the UK, and was the 2013 winner of the of ‘Women in the City’ technology category award in recognition of her achievements. She is also on the next generation committee at Leap, a charity that helps young people manage conflict. She is interested in topics such as customer experience, digital transformation, applied innovation, enterprise gamification, organisational culture and gender equality in business. She is a keen advocate of women in tech and supports initiatives aimed at inspiring young girls to pursue careers in STEM. She has two young children and is an avid fan of CrossFit and a novice horse-racing jockey. Follow Maggie on Twitter and LinkedIn. 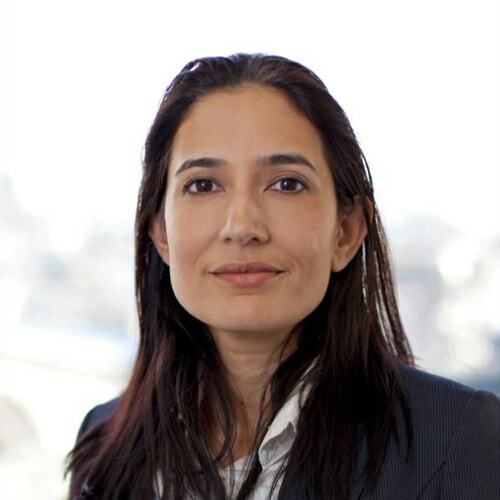 Nira is a Senior Clinician Strategist at DeepMind Health. 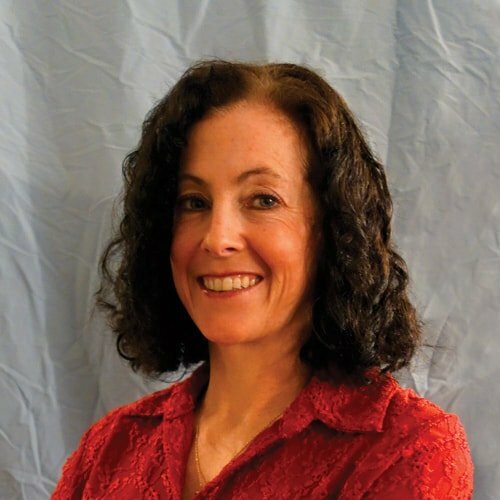 A pediatrician by background, she trained at Stanford, where her research focused on remote clinical monitoring via EHR integration of consumer-facing health technology. 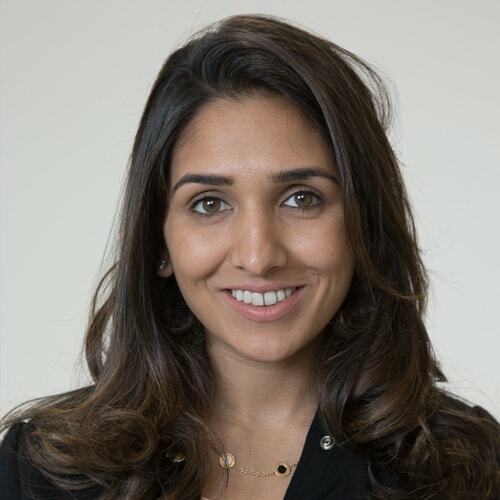 Previously, Nira worked in management consulting for the Boston Consulting Group and has consulted for a variety of digital health startups in the Silicon Valley. She holds a BS from UCLA, MD from UCSF, and has worked at hospitals in the US, UK, Australia, and South Africa. 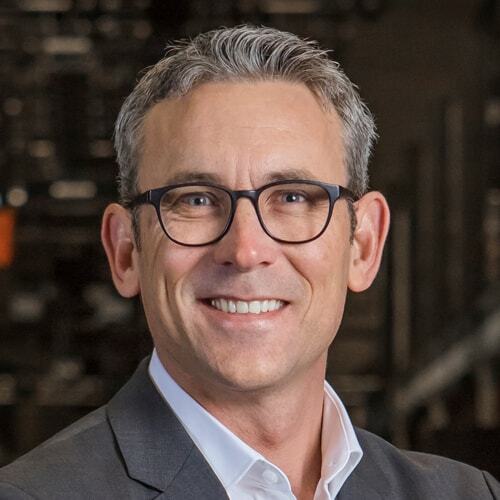 Dayne is Senior Vice President, leading the UK&I Enterprise Business for Dell Technologies. He and his diverse team help companies embrace the challenges around digital transformation. He has recruited and developed one of Dell Technologies most high performing teams and is a leader within the business on delivering the diversity agenda. Dayne is also passionate about ensuring the business supports female and ethnic minorities growth into Science, Technology, Engineering and Maths subjects. He is on the Board of the Prince’s Trust leading programmes for mentoring, internships and seed investment to well-deserving, underprivileged youths via the Trust. He is passionate about sustainability and champions Dell’s Ocean Plastics sustainability initiative. Originally from South Africa, Dayne has held a range of leadership roles internationally before joining Dell in 2010 and holds a BSc in Mechanical Engineering. 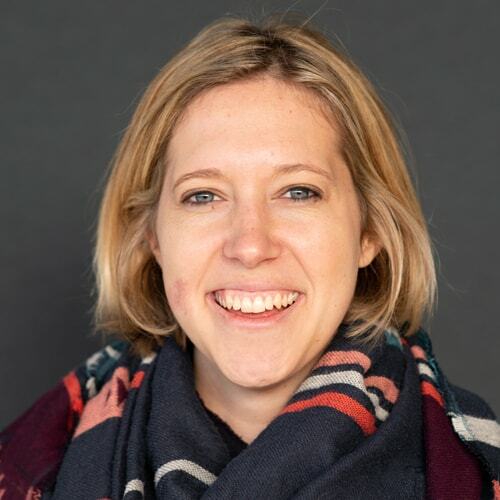 Katie is the 2019 winner of Women in IT’s CTO of the Year award recognising the work her team have done transforming Adstream internally into a leading player in the Adtech space optimising Cloud, Devops Practices, CI:CD and the latest Tech. She is passionate about getting the best from People and Technology to produce products which deliver real value to Businesses across Industries. Taking pride in a deep business and technical knowledge she believes leading a successful team is down to being a great role model, advocating flexibility and actively encouraging growth and development across the team. Emma served as an Engineer Officer in the RAF before transitioning to the influence capability of Military Intelligence. Over five tours of Afghanistan, she was placed in leadership and governance roles, leading teams to collect life-saving information. After a realisation that she was using the same influence skill set and methodology in her interactions with politicians and military commanders as she was with the Taliban, Emma co-founded the Applied Influence Group. She was honoured with an MBE in 2015 for her service in Afghanistan. Jeremy is Respect & Inclusion Lead for Analytics & Information Management in Deloitte’s Technology Consulting practice. He works with Senior Leadership to provide strategic oversight and management for a practice of 300 individuals in the UK, and over 5000 globally. 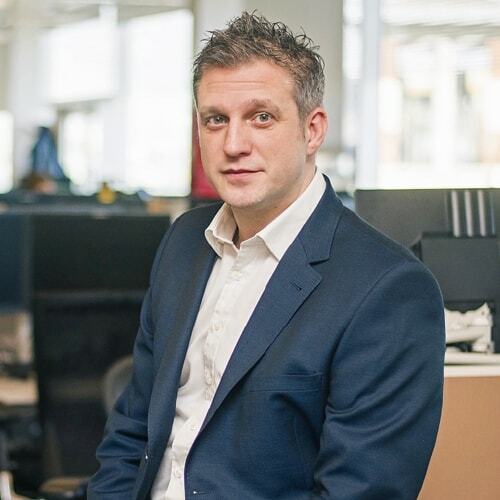 Recognised as “a champion for wider discussion and demystification of technology”, Jeremy works to deliver new insights for global organisations to build their capacity and readiness to harness opportunities from analytics and AI. 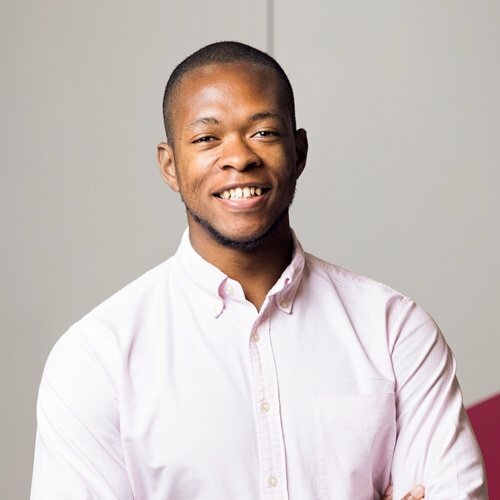 He has featured multiple times as a Technology Specialist Guest Speaker on the BBC and was named the Black British Business Award Winner 2017 – Rising Star. 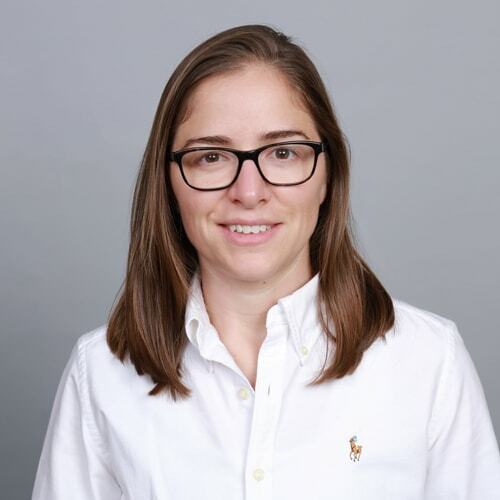 Gaia Paolini is a Data Scientist at TIBCO, having previously held roles at Pfizer, IBM, biotech and software companies, academia as well as consulting independently. She is interested in ideas, science, art and algorithms and enjoys the challenge of combining these to generate insight from data. 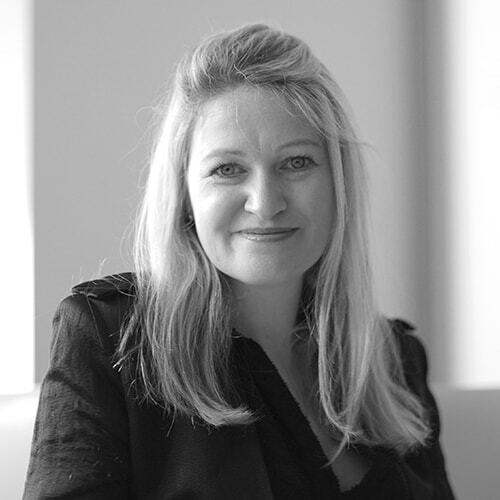 Christianne has worked in communications for 13 years, initially as a copy-writer and then for a management consultancy specialising in communication, before co-founding AGL in 2010. She works with corporates and private individuals; in one-to-one sessions and in groups; across sectors and around the world. It might be helping with an important speech; a leadership transition; an employee engagement project around a piece of change; a refreshed corporate narrative or simply communication coaching to make sure a person or team are being as impactful as possible. 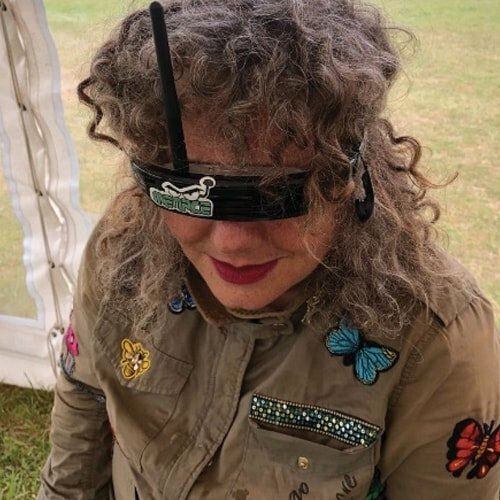 Whatever the situation, she’s most interested in finding the human moment that transforms data transmission into something that makes a connection, that changes minds and behaviour, and that works. Clients include Vodafone, GSK, British Airways, Garda World, Lily’s Kitchen, Tyrrells Crisps, Lloyds Banking Group, JCB, Shell, DMGT, Santander and Jaeger Le Coultre. Christianne is a graduate of Edinburgh and Rome universities. Fiona is Managing Director of Women on Boards in the UK and is a Trustee of the Charity Fight for Sight. Formerly a director of Old Mutual Asset Management and Hill Samuel Asset Management, running the Global Equities and Emerging Markets Desks, in 2012 Fiona launched Women on Boards UK to support women applying for board roles across the Public, Private and Not for Profit Sectors. 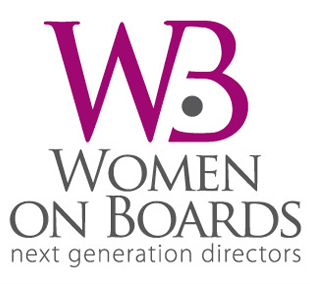 WOB has enabled 1500+ women to get onto boards across the UK. Foundation sponsors (PwC, ICBC Standard Bank, Thomson Reuters and Berwin Leighton & Paisner) and corporate members include UBS, RBS, JP Morgan, Cisco Systems, HSBC, Linklaters, Oracle and Aberdeen Asset Management. 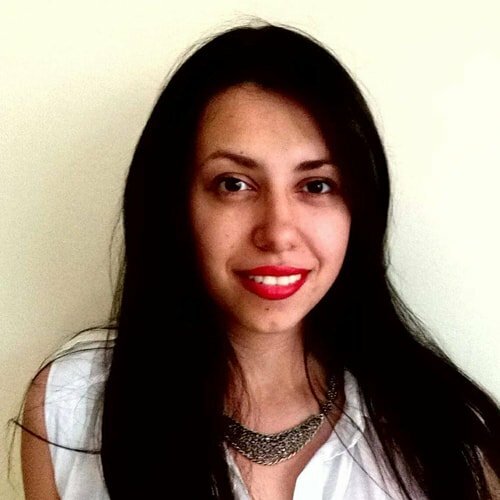 Ioana Monica Stama is a Solution Consultant at TIBCO, having previously held the same role at Oracle. 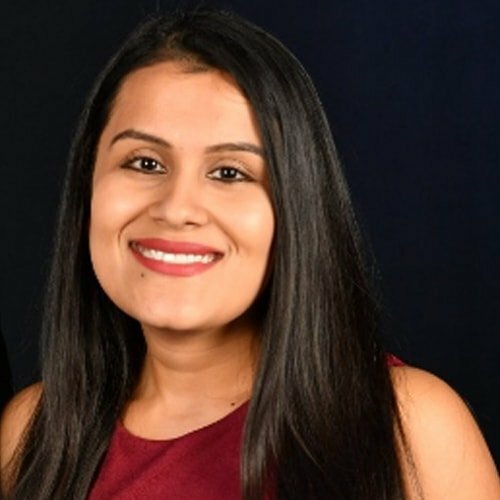 Her degree in Cybernetics, Statistics and Informatics triggered her interest in how business outcomes can be improved by turning data into knowledge, with a focus on bringing together people, data and technology to achieve innovation goals. Dan is a business psychologist, communication coach and learning consultant. Dan has worked with a wide range of audiences, in all sectors, on all continents, and at all occupational levels - including boards and senior management teams. His expertise lies particularly in the areas of leadership, communication, employee engagement and organisational development. Before joining AGL, Dan was a director at Mind Gym, working with leaders to achieve measurable impact across global populations. He was also head of research and knowledge, keeping the organisation abreast of the latest thinking. 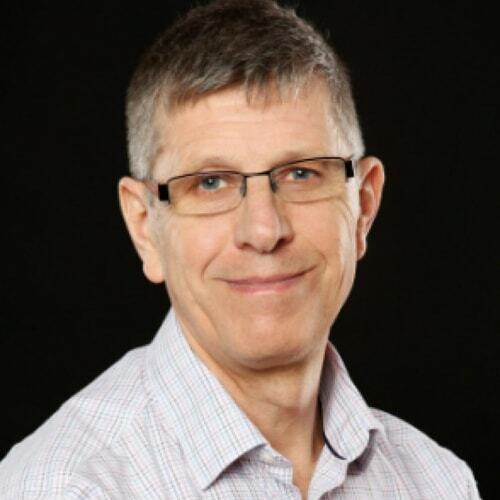 Dan is also an accredited MBTi practitioner and has an excellent knowledge of the latest thinking in the worlds of psychology, neuroscience and business. He is experienced in conducting organisational research, and his study of the development of people inside one magic circle law firm features extensively in a recent book on best practices in the legal sector. Keith is Director of DevOps for ADP UK for their flagship human resources and payroll products in Europe. His role is to promote Continuous Delivery and DevOps principles, patterns and tools within the development and operations teams. Keith is a passionate believer that this will improve the outcomes for the business, employees and customers. Last year the work was short listed for the National DevOps awards. Keith has more than 30 years of software development, operations and DevOps experience. 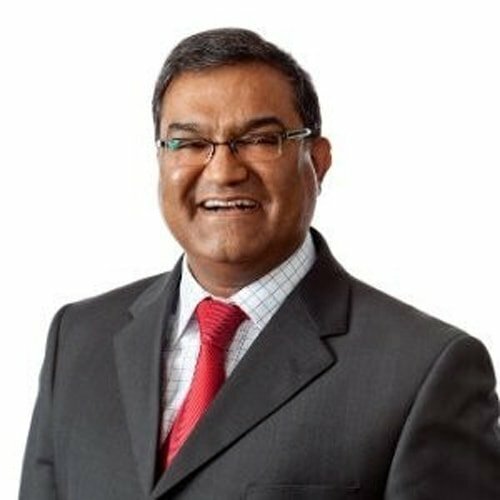 He has led many cultural, business and agile transformation projects in various companies. In his previous role, Keith led a project in Ordnance Survey which transformed the way environments were provisioned using a combination of open source tools and changes to business processes and culture. This project was shortlisted for the Real IT Awards in 2016. 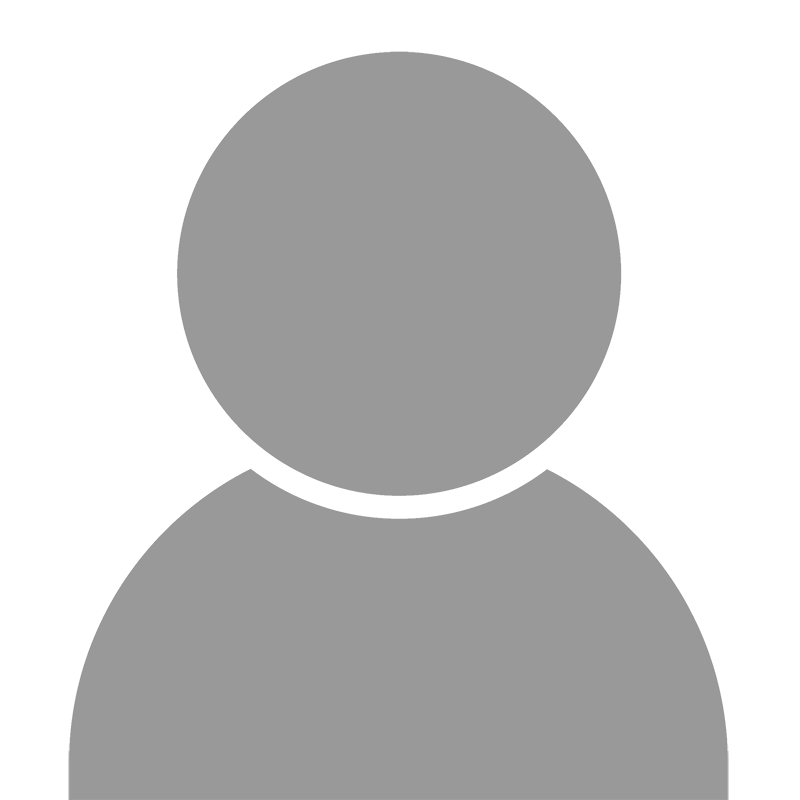 Keith has also chaired and spoken at various DevOps conferences and user groups. 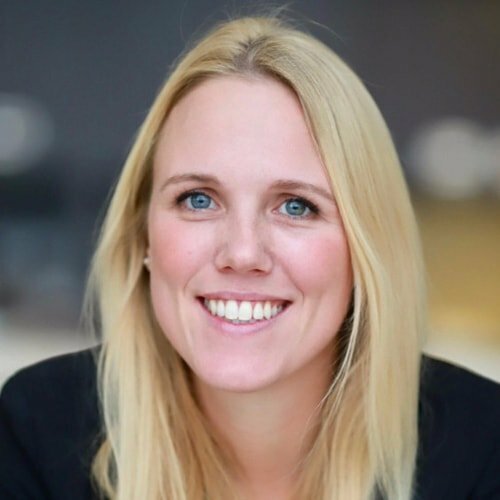 Heleen Snelting is Director Data Science EMEA at TIBCO, where she and her team help TIBCO customers optimise business and operational processes through the use of advanced analytics. She previously held international roles at market- and shopper research company IRI. 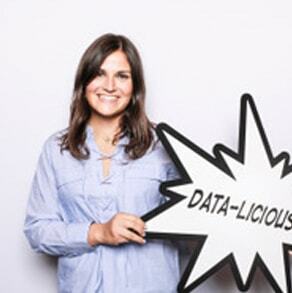 Heleen is passionate about knowledge sharing and is an active TIBCO Community contributor. I graduated with a BSc Computing in 2006, and have been working for Adobe the past 5 years. I have 9 years of experience as a Project/Program Manager in a Professional Services capacity alongside managing a team of Consultants. Delivering solutions for Digital Marketing & IT teams to produce valuable capabilities & Use Cases which drive success in their organisations. Earlier on, I worked with IBM products and presently with Adobe products. I enjoy the challenge of working with many diverse people, companies and industries, alongside global delivery teams. It really does keep me on my toes! I’m currently partaking an MBA course of study to help me gain more business critical skills. I’m a keen volunteer in my local community via a charity organisation (GoodGym) and also with Adobe volunteering opportunities. I also pursue many hobbies in my spare time to help keep me energised and encourage my creativity in this busy world. Julie invests in B2B SaaS businesses across Europe as part of Salesforce Ventures, the strategic investment arm for Salesforce with over 300 portfolio companies across 20 countries and one of the most active cloud investors and CVCs globally. 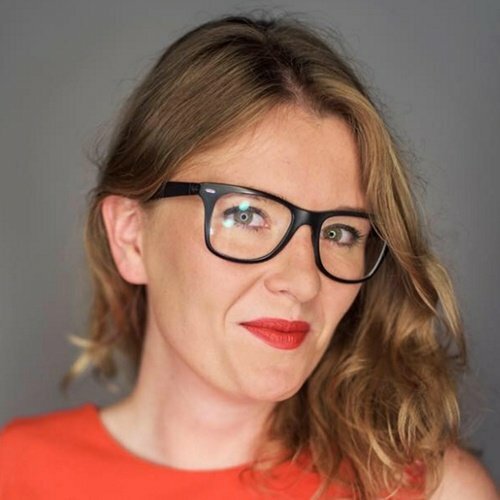 Prior to joining Salesforce, she worked on investments at Founders Factory, a multi-corporate backed accelerator and incubator based in London, where she engaged early stage companies into a program with L'Oreal, easyJet, the Guardian, CSC, Holtzbrinck and Aviva. Rehana leads the London Engagement Team which provides 2000+ London-based employees with access to learning and volunteering opportunities, as well as building out a sense of community, a place where people enjoy working and feel heard and valued. Rehana partners across all brands, levels, geographies and Business Resource Groups to drive culture change, working towards an inclusive and exceptional workplace for Expedians worldwide alongside Expedia’s Global Inclusion forum. Expedia Group is guided by a purpose that is inherently inclusive: to bring the world within reach. As the world’s travel platform, it's extensive brand portfolio includes some of the world’s most trusted online travel brands. Having partnered with Tech leads on the set-up of the latest Expedia Group engineering office in Amman (the first gender balanced EG Tech office globally), Rehana enjoys traveling to different Expedia offices to learn about culture differences across locations. As well as travel, dance is one of Rehana’s biggest passions and she has competed at 10 dance Latin and Ballroom national competitions. 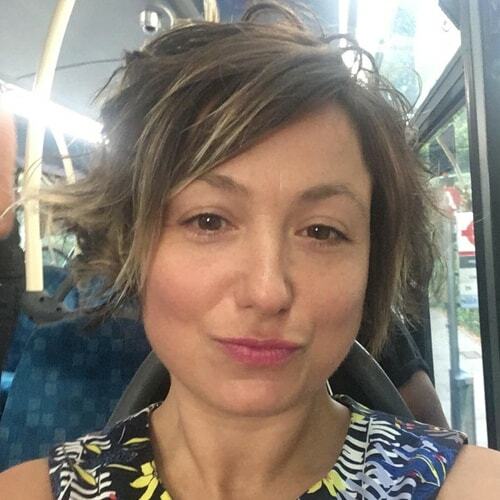 Rachel is Head of Digital Strategy and Product Development at Nationwide Building Society, where she shapes Nationwide’s digital vision and roadmap and works with teams to set clear, value orientated goals. Rachel started her career in consultancy at Arthur Andersen and Ernst & Young, before moving into digital product development. She’s worked with a wide variety of organisations, from start-ups and scale-ups to listed companies in retail, travel and housing/financial services, before joining Nationwide in 2013. Since joining the Building Society she has worked in a variety of leadership roles across digital banking, innovation and product development – and played a lead role in Nationwide’s agile transformation story over the last 18 months. 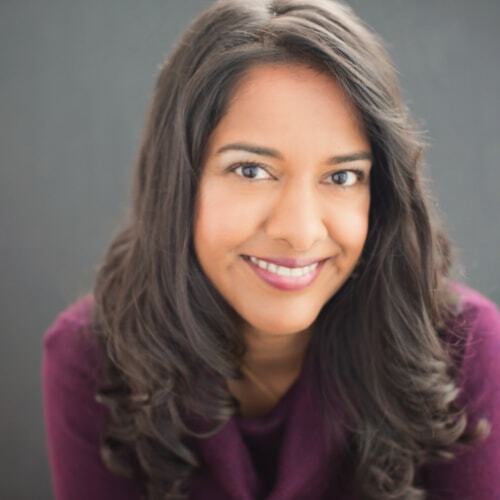 Pallavi is a thought leader, Tech speaker and author. She has written features for UK based and International tech magazines and is speaking at national tech conferences. Having significant experience of working in the tech industry, she is an advocate of active participation of women in the industry and STEM for young girls. Simi Awokoya is a Technical Evangelist in the AI Recruit team at Microsoft. As part of her role, she works with Microsoft partners to develop AI solutions. Simi started her career in Tech as a software engineer at Goldman Sachs. 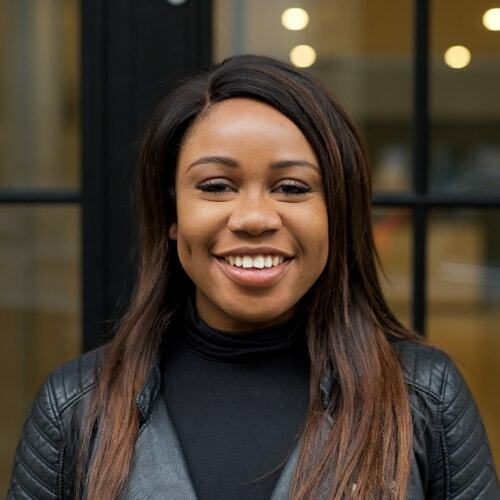 She is also the founder of Witty Careers- an organisation focussed on equipping Black & Minority Ethnic women with the skills to succeed in Technology careers, for which she was recognised for in Forbes 30 Under 30 Europe. 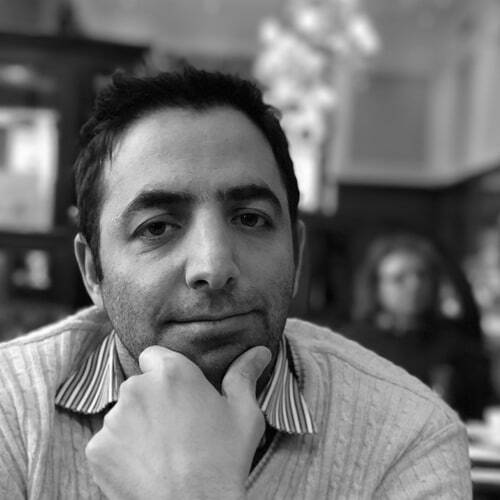 Ali, has more than 15 years’ experience in tech engineering, has been in payment for the past 8 years working at PayPal and with Visa and Barclaycard prior to Yoyo. At Yoyo he is responsible for leading and scaling the Engineering team and building the next generation of Yoyo's payment and loyalty platform. Ashleigh is co-founder of Colorintech a non profit aiming to improve access, awareness and opportunities for ethnic minorities to enter the tech industry. They work with a number of the world's leading tech companies to run programs to enable students and working professionals to access career opportunities. 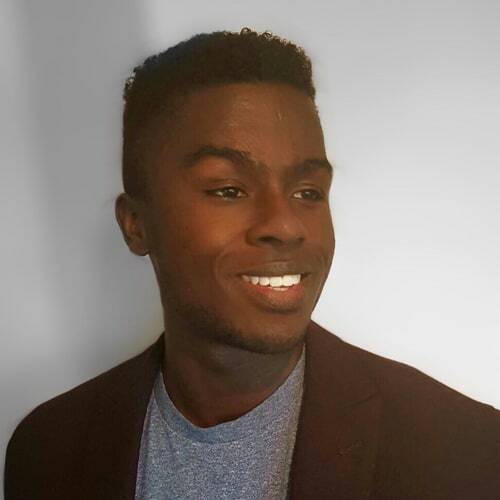 Ashleigh started his early career in strategy at Google before moving to London start up Qubit and corporate KPMG. He has worked on a number of engagements for Downing Street, the World Economic Forum and a number of the world's biggest organisations on a range of strategy and D&I issues. Shephali is a seasoned business executive with successful experience in dealing at Senior Management level in complex, highly competitive environments with both a direct customer-base and indirect channel partner relationships. A good team player with excellent understanding of IT services and solutions, first-rate communication and presentation skills, high degree of autonomy, self starter, business minded and results oriented, Shephali is highly organised with the ability to prioritise work and meet deadlines. Experienced in change management and acquisition integration and educated to MBA level. Shephali’s specialties include mergers and acquisition integration, project management, programme management and customer services. 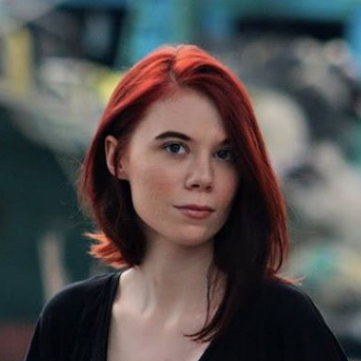 Rhiannon Payne is the Founder and CEO of Sea Foam Media, a boutique Blockchain, ICO, and STO agency based in San Francisco with a globally distributed team. Rhiannon started Sea Foam working as an independent ICO consultant and whitepaper author and has since expanded the company to encompass end-to-end services for prospective ICOs (Initial Coin Offerings) and STOs (Security Token Offerings). She currently serves as an advisor for three Blockchain projects and has worked with over fifteen. 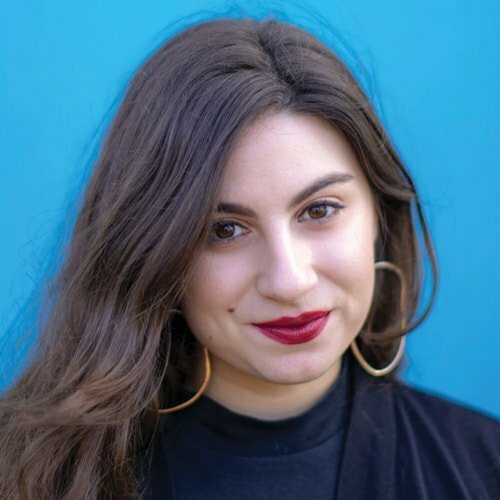 Rhiannon has been passionate about amplifying women’s voices since the age of 20 when she started an online magazine with original content written by and for women. 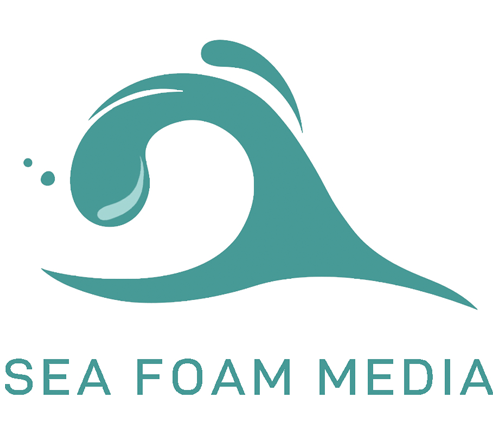 Today, her team at Sea Foam Media is comprised of over 50% women. Helping Clients to Get Fast Accurate Analytical Results. Caroline has spent over 20 years helping organizations to drive value from data and transform processes across all business functions. 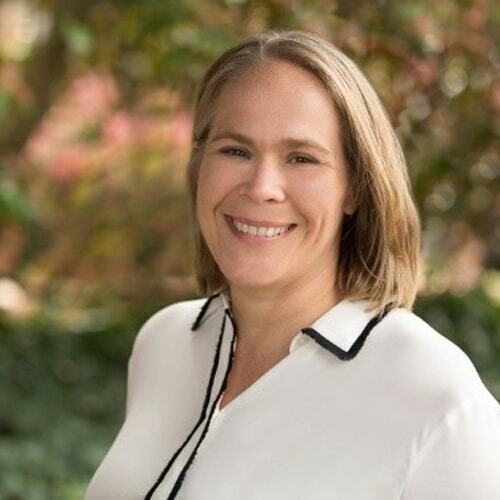 In her current role at SAS, she helps companies on their journey to having competitive edge through data and advanced analytics and artificial intelligence. Caroline is interested in the impact AI will have on society and is passionate about AI being used in an ethical way to work alongside humans. She is interested in inspiring the next generation to solve the hardest challenges facing the world today using technology, innovation and entrepreneurship. Caroline is also on the Action for Children Board for the Byte Night Project which helps to PREVENT youth homelessness in the UK and is sleeping rough for a night soon! Ask how you can get involved & make a difference. Michelle joined Elsevier in 2014 and is the SVP of Data Science. The Data Science team is focused on the content production pipelines that enable Elsevier to turn content into answers. Specifically, they combine natural language processing (NLP) and machine learning (ML) methods with domain expertise in order to enrich content into data structures, that drive the analytics that Elsevier’s products require with the quality that Elsevier’s customers expect. 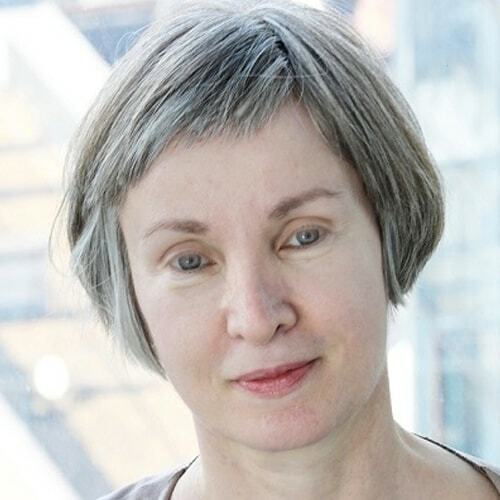 Michelle’s career as a computational linguist has focused on the implementation of NLP and ML methods to improve computational analysis and understanding of large amounts of data. As a research and industry leader, she focuses on defining big data solutions for language processing applicable and scalable for real world applications. 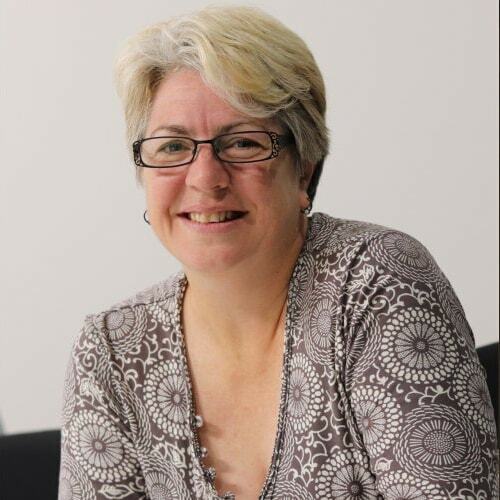 Bonnie Molins has spent the last 20 years working in the public, charity and commercial sectors to produce inclusive service solutions that provide equal access and better outcomes for diverse users with a range of access needs. 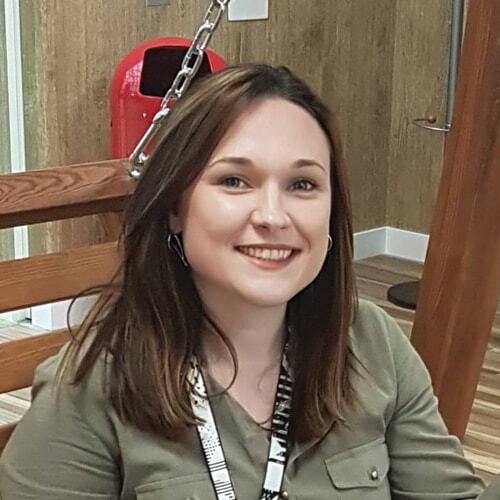 She currently leads on inclusive design at leading provider of Digital Services and Platforms Kainos, with a focus on producing whole systems that work for whole populations, streamline service delivery and improve user equality.â€‹ Bonnie believes that inclusive design is good design – because it means everyone can use the thing. Tiffany has spent over 20 years helping organisations transform customer experience across their sales, service and marketing operations. 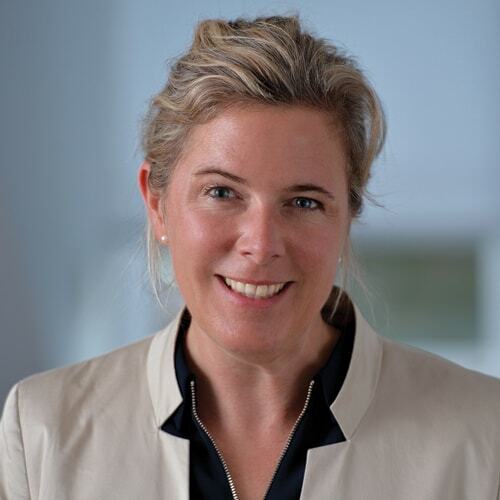 In her current role at SAS, she guides organisations on the application of advanced analytics and artificial intelligence to harness customer insights and deliver relevant one-to-one experiences. Tiffany is also co-founder of Griswold Studios, a boutique fitness concept delivering personalised fitness programmes powered by data and analytics. 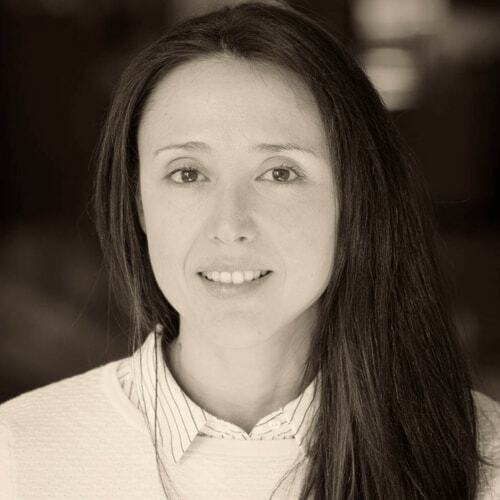 Ms. Kae is currently serving as the Executive Director of Qlik.org and the Global Head of Corporate Responsibility at Qlik, where she leads the organization’s program towards globally sustainability and empowering nonprofits to effectively serve our planet and vulnerable populations. The program includes leading sustainability reporting best practices internally and externally; managing strategic partnerships with the United Nations, C40 Cities Climate Leadership Group, Great Ormond Street Hospital Children’s Charity, Private Sector Roundtable and other organizations; directing a successful grant program leveraging the Qlik software through Qlik.org; and directing employee engagement activities with partners, WeSeeHope and Medair, as well as many other global nonprofits. Ms. Kae is the Founder and President of “WeSeeHope USA Inc”, a not for profit supporting women and youth programs in Africa; serves as Board Member to the Friends of Dana Farber Cancer Institute; and is currently pursuing her graduate degree in Corporate Sustainability at Harvard University. 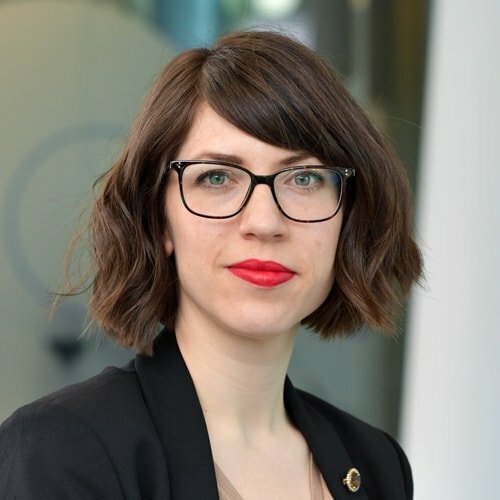 As Intelligent Automation programme manager Veronika is responsible for implementation of large scale Automation and AI projects at British Telecom. She aims to deliver real results and drive improvements to the bottom line and customer experience. Her recent focus has been on getting the best out of RPA (Robotics Process Automation) by applying holistic approach to Automation. 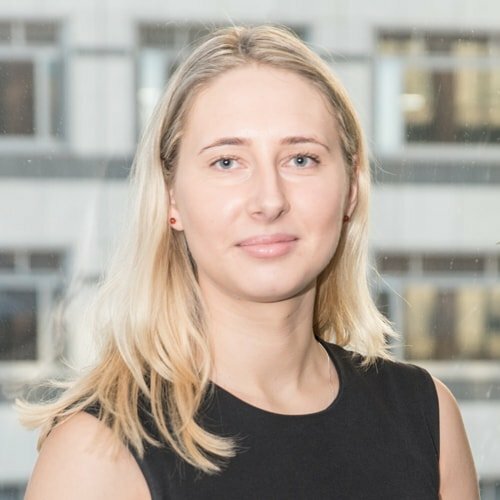 Veronika’s areas of interest include Intelligent Automation, Process simplification, real life AI implementation and Agile. Prior to joining British Telecom Veronika has worked in IT project management and consulting in the UK, Germany and Russia. After an impressive career in law, as well as sales and marketing in the pharmaceutical industry, Sarah Palmer found her passion in motivational coaching, training and development. She is PowerSpeaking, Inc’s European business affiliate, training and developing leaders, and emerging leaders, in communication skills. She is passionate about developing women in the workplace so they can voice their ideas and is an active member of TechSheCan, a ground breaking initiative to inspire and empower women in tech careers. Speaking Up®: Presenting to Executives/Decision Makers. Presenting to executives of Fortune 500 companies around the globe. Delivering one-on-one business and personal coaching in the areas of confidence, motivation and personal development. Interviewing global business leaders who are masters in the field of communication, to develop best practices in this field. Sarah believes no idea should fail because of a bad pitch. The idea should fail because it was, well…. just a bad idea, or bad timing. Her learning style is fast, fun, and inspirational. 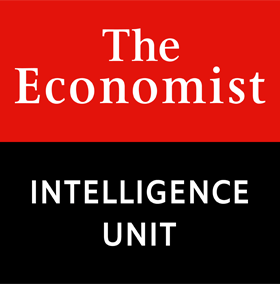 Sharon Cooper is Chief Digital Officer of the EIU, the consulting and research arm of The Economist Group, she is focusing on modernising their forecasting tools and creating a suite of digital products to enable the organisation to grow its services. 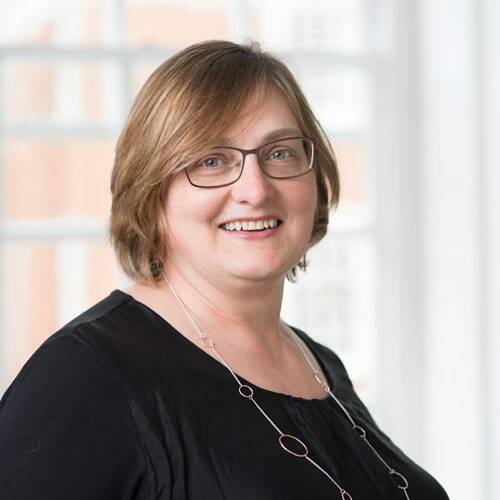 Prior to that Sharon led digital change as the Chief Digital Officer at the BMJ Publishing Group and also worked in the public sector at both Directgov and Government Digital Service. She has a degree in Chemistry and has worked for most of her career in knowledge and information organisations Including Oxford University Press, Which?, Informa and Reed Elsevier. Marta Krupinska. London based tech entrepreneur, co-founder of real time pay FinTech startup FreeUp and entrepreneur-in-residence at the global GovTech firm PUBLIC.io. Previously co-founder of a global FinTech Azimo which raised $70M+ in funding from top VC firms and gained over 1 million customers. Received prestigious awards, such as Forbes 30 Under 30 in Finance in 2016 and Evening Standard's London’s Most Influential People in 2017. She holds a MA in Organisational Psychology and a Management degree from Columbia Business School. Marta is a frequent public speaker and advocate for responsible leadership and diversity&inclusion. 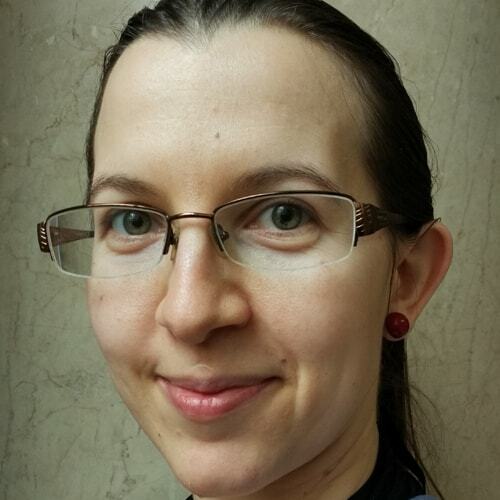 Lesya Liskevych is Head of Web Analytics at Kindred Group, one of the world's leading online gambling operators. 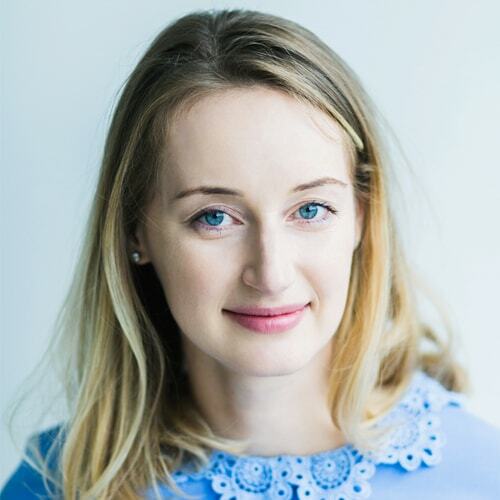 Since joining Kindred in 2017, Lesya has built a team of highly-skilled web analytics and optimisation specialists which is transforming the business with customer insight and a data-centric decision-making approach. Lesya's goal is to help Kindred achieve its ambition to become the number one Casino and Sport betting destination. Outside of work, Lesya is a member of a London-based theatre group and has performed several times at the Edinburgh Fringe. She is also a triathlon enthusiast and regularly competes in Half Iron(wo)man races. Melinda Roylett leads the European business at Square. She joined the company in 2018 and is responsible for growing the business across the region. She oversees a range of business functions including sales, marketing, business development, partnerships and strategy. 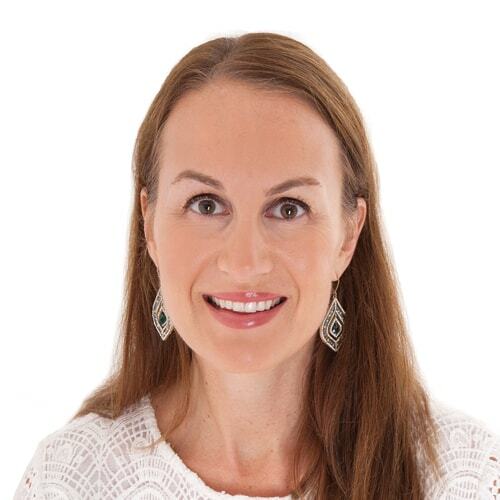 Melinda holds a Bachelor of Commerce/Bachelor of Laws from the University of New South Wales, Australia and an MBA awarded jointly by Columbia and London Business School. In 2014 she was named as one of the Management Today’s ‘35 Women to Watch in Business Under 35’ and in 2017, she was nominated for inclusion as one of the 50 Most Influential Women in U.K. Technology. Melinda is a Director of the UK Foundation of the University of New South Wales and an investor in a number of startups. Lesley’s role as FISCAL’s Chief Operating Officer and Director of Customer Success underpins the operational integrity of the business. She has over 10 years’ experience at Executive Board level, ensuring the effective execution of FISCAL's strategic and operational objectives. She provides hands-on direction to ensure the company's operations directly support business growth and the increase in customer requirements. At the heart of her role is ensuring customer success by leading FISCAL's first class Customer and Professional Services teams. Alongside, and integral to overall business success, she spearheads the organisation's award winning People and Culture by delivering strategic direction and support to HR. 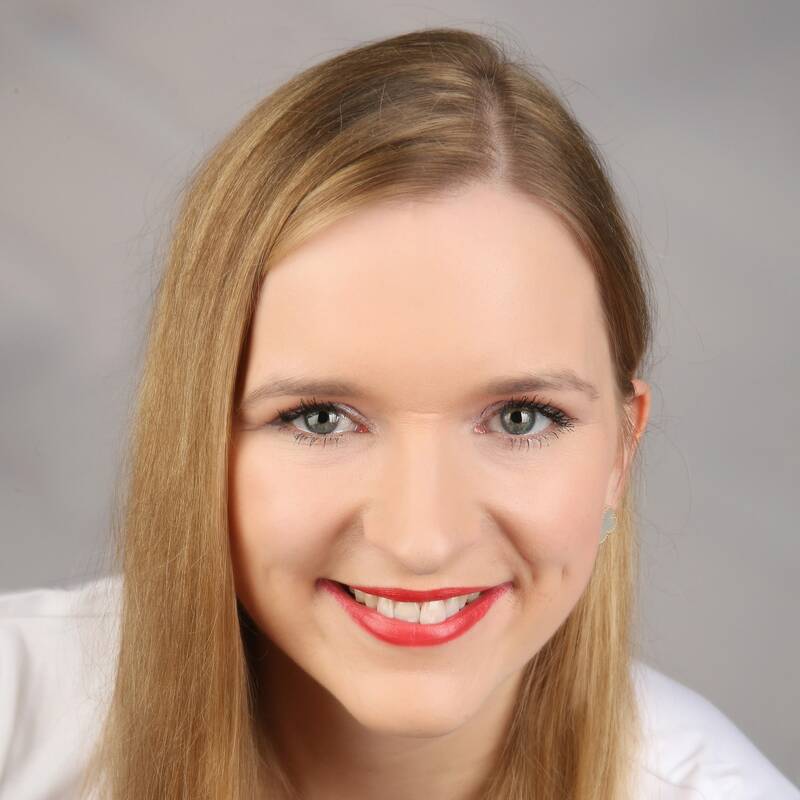 Besides her involvement with a single family office, Dutch-born Marie Weijler (27) is the Senior Manager of fintech scale-up Princip.al, which offers an online platform to more than 1,500 single family offices and private investors from 48 countries. The Princip.al platform is used for deal flow sharing in all sectors and all stages. Marie has sourced 95+ deals in high-tech industries for her clients. In 2018, she was involved in raising € 25 million for fintech scale-up UnifiedPost. This achievement resulted in a place on the Forbes 30 Under 30 Europe 2019 list in the Finance category. Genevieve joined TSB in 2016 to lead the Bank’s mobile programme – including the launch of TSB’s new mobile app for retail customers. She previously spent 10 years working in a number of roles across Barclays building strong, inclusive and sustainable teams. She is a digital specialist and an agile evangelist and excels at accelerating cultural change. Genevieve lives in Leicestershire with her husband, two young sons and their dog, Margot. Award-winning media trainer, named 'Outstanding Woman in Professional Services' at the 2018 Precious Awards. Bridgid leads the media training team at TNR, part of the Press Association, the UK’s national news agency. She coaches high-profile speakers and spokespeople before media interviews, Select Committee appearances and major speeches. 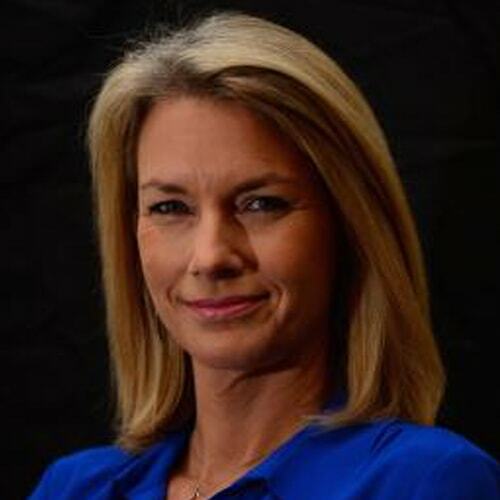 Bridgid has been a broadcast journalist for 20 years (including stints as a political reporter and financial reporter) and is best known for 10 years as a presenter and reporter for Channel 4 News. As well as media training and conference hosting, she presents weekend programmes for ITV News as a freelance newsreader. Leila has a wealth of experience in bringing out the best in others; She inspires driven, talented, career professionals to achieve greater influence, performance and results, through accessing their infinite potential and experiencing limitless possibilities through exponential growth. Leila’s’ corporate career of almost 25 years combines a wealth of experience initially gained as a qualified accountant, followed by 7 years in Corporate Finance and latterly a successful Sales Executive, with the last 16 years spent in the Technology sector, coupled with accreditations as a Master Coach, Mentor at the Professional Speakers Academy, Trainer/Facilitator at Hewlett Packard Enterprise L&D, and a Master Practitioner of NLP. Irrespective of your job title, we are all ultimately in Sales – people buy people. 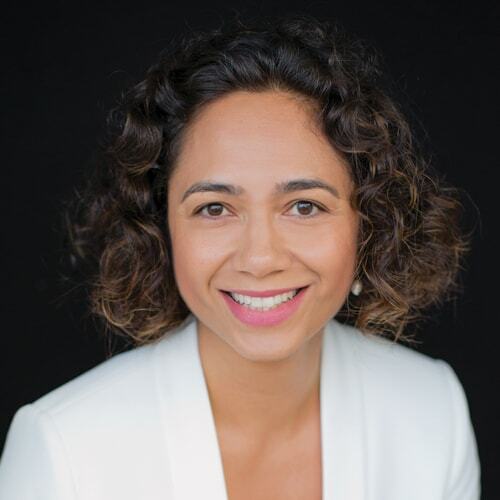 Leila’s main area of focus is Communication, Confidence and Connection – to create a compelling first impression, on a call, in a meeting, a networking event, presenting to an audience or indeed pitching to prospects. Showing up consistently with certainty, whilst conveying a clear message, will enable you to create a powerful presence resulting in greater influence, performance and results in your career and in your life! 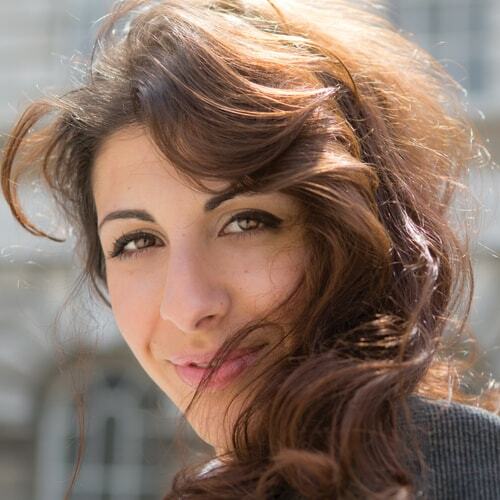 Leila has delivered inspiring, thought-provoking talks, workshops and trainings at various events and organisations including Hewlett Packard Enterprise, DXC, IBM, 3M, Dow Jones, Santander, Birkbeck University of London, Oxford Brookes University, WOSR and multiple CIMA events. Rafi leads a team of Sales Operations Analysts at Tableau Software, the world’s leading visual analytics and business intelligence software. Prior to this role, she spent 5 years building out the European-wide Product Consulting team at Tableau from 6 to 34 individuals. 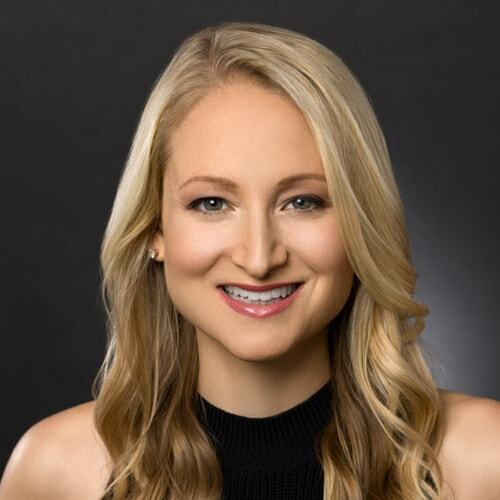 Now, her passion is to bring Tableau’s mission of helping people see and understand their data to the company’s internal analytics and business practices. Originally from Los Angeles, Rafi moved to London to complete her one-year Masters at the London School of Economics over seven years ago. 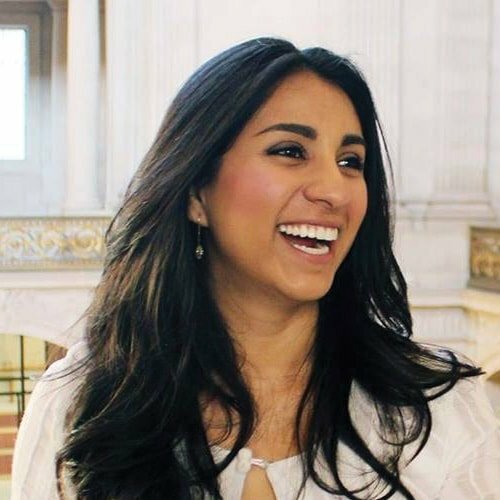 Riya Grover is the Founder and CEO of Feedr, a curated marketplace which allows individuals to order healthy, nutritious food from London's best artisan vendors at their workplace - and named one of the top 100 Startups in 2018 by the Startups 100 List. Prior to starting Feedr, Riya worked in Sales at Deutsche Bank and Marketing at PepsiCo. She holds an MBA from Harvard Business School and an Undergraduate in Economics from Oxford University. Riya advises and has worked with a number of startups in London, and is proactive about supporting early stage entrepreneurs. Ruth leads Business Transformation and IT for Lenovo’s Data Center Group (DCG). 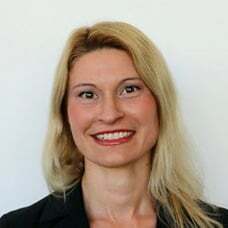 Previous to Lenovo she was the CIO of the Business Intelligence & Global Head of Shared Applications for Deutsche Bank, and spent eight years at NetApp where she held a number of engineering and sales leadership roles. Ruth holds a degree in Computer Science from Columbia University. Ruth is an avid endurance athlete, swim coach for the Special Olympics, and loves mentoring and building engineering cultures which embrace diversity. Johanna is the founder of the Swiss Startup Delygate.com. It’s a digital marketplace empowering people to delegate everyday tasks in just a few clicks. Typical chores are handyman, housework, home improvement, languages and more. Prior to this, Johanna spent 12 years in corporate finance, management consulting and business development working for companies like Siemens, Procter & Gamble or Horvath & Partners in Europe and in the US. She holds an MBA degree from NYU Stern School of Business and specialized in both finance and marketing. She is based in Zurich, Switzerland and enjoys sports and sculpting in her leisure time. Robyn is a Scrum master and agile coach working at DAZN who has been working in Agile environments for over 10 years now. She started in IT as a backend web developer before moving on to project management, then into a coaching role for the past 4 years. Prior to that she was an Intensive Care nurse with the NHS. Her main passions are helping people to grow, bringing people together in relationships of trust, openness and great communication, and watching amazing teams grow from those roots. 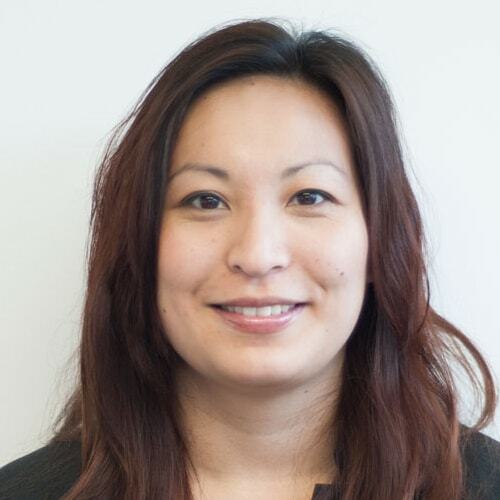 Annie Hou is Head of Data Science at Sandtable, a company that focuses on behavioural analytics. Since joining in 2015 she has helped to build an amazing team that have developed new tools, methodologies and ways of working that have transformed the company. Annie obtained a Ph.D. in Astrophysics. While totally different fields, there is an underlying goal to understand change and how environment and interactions can alter an outcome, whether it be the type of galaxy or a person’s attitudes and decisions. She enjoys dancing to baby shark with her toddler, all forms of sci-fi and yoga. She was born in Kathmandu, grew-up in Toronto, but now calls London home. Ruth-Louise is an unusual Scrum Master at giffgaff – she doesn’t do scrum! Powered by tea, R-L helps people to manage their work and life using agile techniques, which most of us do already and don’t even realise it. 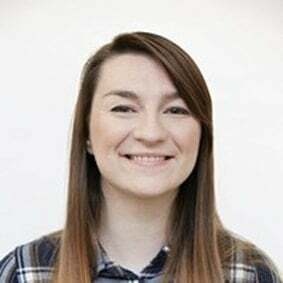 Graduating with a 1st Class in Business Management, R-L spent nearly 5 years at IBM in various roles from sales to project management and project executive, before moving to the ‘gaff where she takes a particular interest in organisational change, diversity and inclusion. When she’s not covered in whiteboard pen and stickies, Ruth-Louise can be found bopping at a music venue or on the hockey pitch. 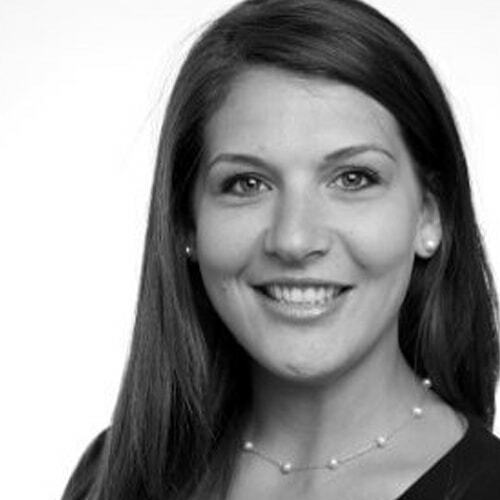 Jennifer Rivas is a Principal Technical Programme Manager at DAZN, who helps support and guide the various verticals across the product team to deliver DAZN into New Markets. Before starting at DAZN, Jennifer spent 10yrs working as a Producer in Video Games delivering titles such as Angry Birds Starwars, Golden Axe, Diggs Nightcrawler to the various console platforms. Working with different cultures, people and companies she has found that building strong relationships with the people you work with and being your authentic self helps everyone reach goals that they wouldn't have thought possible. 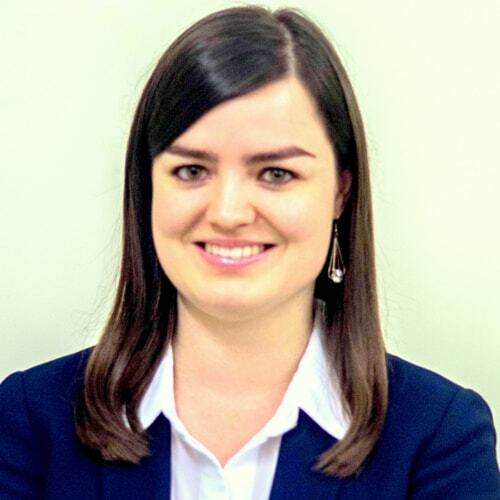 Ms. Jones was certified in Data Science Ethics by the University of Michigan in 2018. Danielle is a double Paralympic gold medallist, five-time World Champion and the first disabled athlete to represent England as an able-bodied discipline. She now works as a professional key note speaker and Inclusion Champion, delivering big impact messages that take people from medal potential to World Class. Susie tried to change who she was for over a decade in a bid to prove she was good enough for her senior roles in high tech Innovation. Her career has spanned media, global telecoms and healthcare. Whilst her work was award-winning, stress spilled into her health and her relationships, until she eventually realised that the cost was just too high. Having experienced the benefits of coaching, she trained as a Performance Coach in 2005 and coached “on the side” for many years before making it her sole income source. Now Susie inspires and supports high performers who are where she was – in a pattern of working longer and harder to avoid being found out. She uses a range of techniques that nurture mindset, positively leverage emotions and enhance instinct. She specialises in shifting the way that successful women in STEM think so they can rapidly become better leaders in life and work. Susie is a passionate speaker, and writes for Families Magazine and Thrive Global. She works with clients privately as well as in a Mastermind setting, regularly running corporate workshops, and life-changing retreats exclusively for women in business. She lives in London with her husband and 7 year old daughter. Maria Flores Portillo joined Persado as a General Manager in the UK, with a wealth of experience in the digital industry, where she's spent the most part of her career and waking hours. 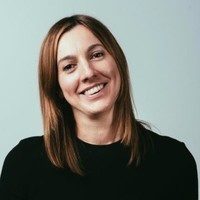 Maria joined Persado from Ooyala, where she built a Programmatic Advertising business from the ground up and played a leading role during the Videoplaza acquisition - she left the business as VP of Business Development, Channel Sales and Ad technology. 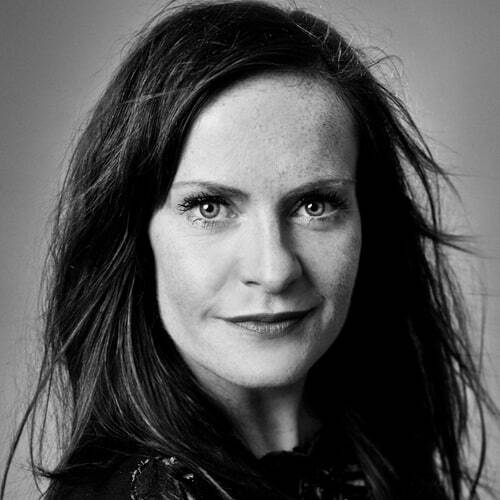 Prior to that, Maria was a Strategic Partnerships Manager at Google, working with large media and brand companies across Europe to expand their advertising business, and a Senior Marketing Manager at EE, the largest and most advanced mobile communications company in the UK. She holds an MSC in Mobile and Satellite Communications from the University of Surrey and Superior Degree in Telecommunications Engineering from Universidad Publica de Navarra. Gintare has degrees in Physics and Financial Mathematics. During her career she fell in love with tech and became a software engineer. As she admires the finance industry and the math behind it, she has always been working with financial technologies. Her journey started with a graduate program at Barclays and continued there for 5 years. Gintare worked in the infrastructure engineering department playing a very important technical role in Barclays' public and private cloud deliveries. She then moved to London to persuade an opportunity at Morgan Stanley and continued her career in banking technologies. After few exciting years at the hedge fund, Gintare decided to join a fintech startup - Thought Machine. She is now part of the financial industry's tech-transformation and she never felt happier. Gintare is also member of meetups and initiatives such as Pyladies, Women who Code and Django Girls. In her spare time she loves challenges like triathlon, cycling, running, hiking, and travel! 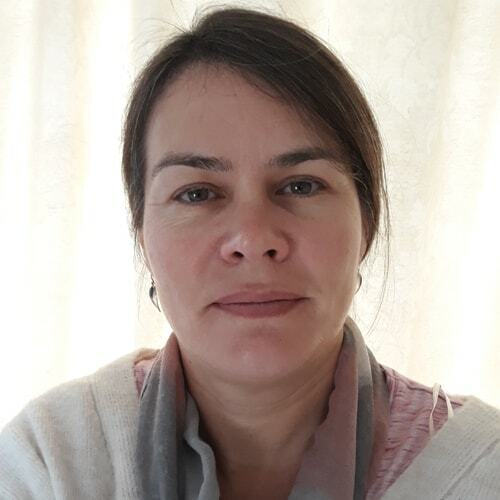 Following her extensive career as an exhibition & furniture designer, Lynn Willacy joined Air Products in May 2000 working within the Customer Service Organisation. She has had many roles since and is currently the Community & STEM Ambassador for the UK & Ireland and sits on the Leadership Team. Lynn leads programmes and initiatives which engage with the local community, educational establishments and organisations who support STEM (Science, Technology, Engineering and Maths). Being an advocate of diversity and inclusion, she has been featured in publications such as ‘The Manufacturer’ and ‘The Chemical Engineer’ discussing the skills shortage and how we can encourage girls to consider a career in STEM. Lynn has also has been invited to be a panelist at conferences and events, such as the Surrey based ‘TeenTech’ event, the UTC (University Technical College) Annual Principle conference and a UTC focus group working with the Education Policy Committee as an Employer Partner voice. Lynn has also represented people living with an invisible disability as part of the IChemE ‘Disability in Engineering’ panel event in London, and her personal story is inspiring. Most recently, Lynn was named the ‘Skills & Community Champion’ at the prestigious UK Manufacturing Champion Awards 2018. The criteria for this award was 'The employee who recognises that manufacturing's influence extends beyond the four walls of the factory and gets out into the local area to share their work and experience to a wider audience' which is definitely Lynn’s passion and the main focus of her role. Isabel Fox is a mother, wellness coach, bio-hacker, Peloton enthusiast and horse lover. She also happens to be one of just a handful of female General Partners in the UK, with a $30m fund and a portfolio of ground-breaking founders who are daring to disrupt the status quo and improve the world we live in. At Luminous Ventures, the fund she has co-founded with business partner Lomax Ward, Isabel has the opportunity to indulge her passion for innovation, investing in visionary founders with breakthrough technologies, and backing deep-tech and science that matters. 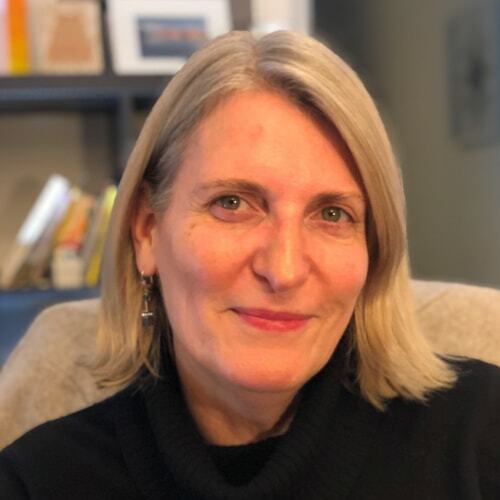 With a background in investment banking and financial PR (IPOs), Isabel has founded two corporate PR firms focused on the venture eco-system, co-founded two software start-ups (one exit) and been an active angel investor in the UK and US. 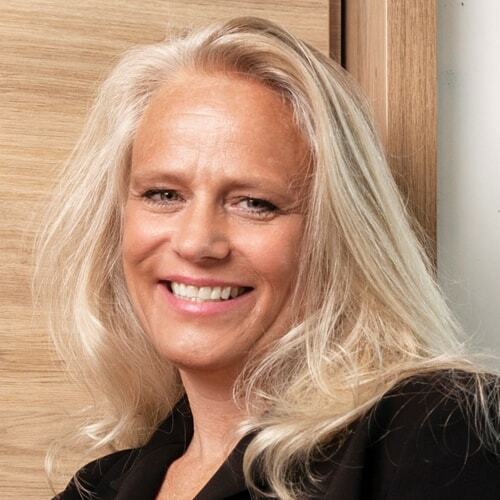 Throughout her career, she has been enormously supportive of women working in her industry – and, for 15 years, played an active role with Astia, mentoring upcoming female founders together with Sharon Vosmek, a key authority on diversity. Having worked in New York, San Francisco and London, Isabel now lives on a farm in Kent with her family, animals and organic vegetables! 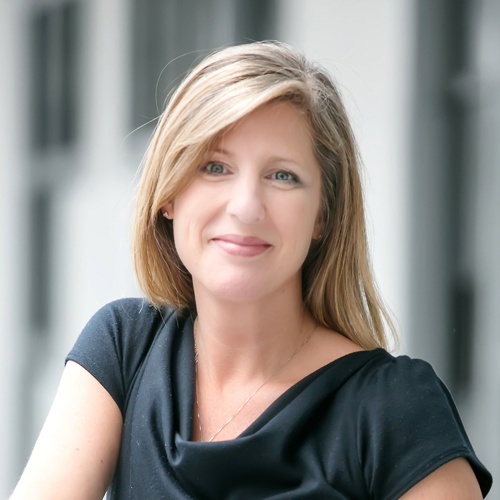 Erin Platts is Head of Relationship Banking, Europe at Silicon Valley Bank. She oversees a number of teams including those covering Client Acquisition, Entrepreneurial Banking, Accelerator & Growth Banking, Debt portfolios, Healthcare & Life Sciences and Working Capital Finance. Erin and the broader team are dedicated to providing financial services, specifically debt financing, to early, growth, and late stage technology businesses, with a particular focus on venture backed businesses. Erin is responsible for developing new relationships and overseeing the continued growth of the portfolio, as well as taking an active role in the development of the external eco-system. Erin has been with Silicon Valley Bank for over 10 years, beginning her career in SVB’s Boston office. She moved to London in 2007 and has worked with a wide variety of technology and life science businesses, providing flexible and innovative financing solutions at all stages of growth. 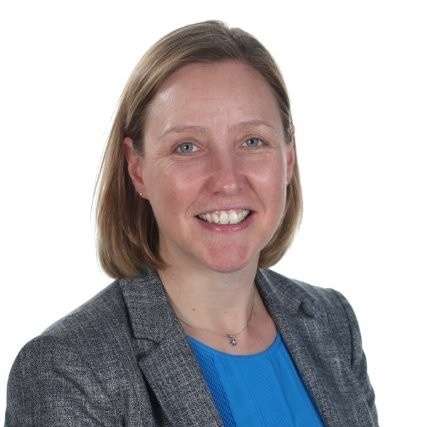 In her previous role as a Director, she was responsible for the team managing the financial analysis, structuring and management of debt relationships with technology businesses throughout the UK. 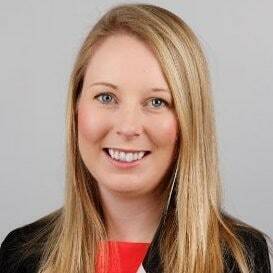 Erin was recently selected by Management Today to appear on the top 35 Women Under 35 list. Erin earned a BA in Business Management and Entrepreneurial Studies from Babson College in Wellesley, Massachusetts. 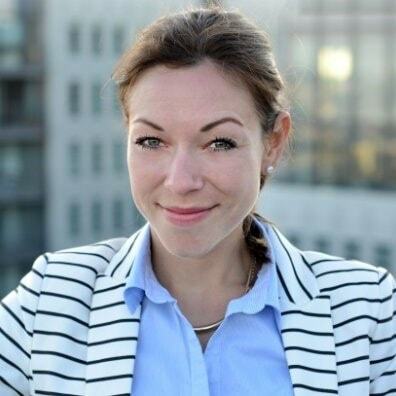 Agnes is a senior analyst in the Customer Analytics team at Hotels.com (an Expedia Group company). She loves detecting and solving users’ problems based on their digital fingerprint, let it be clicks on an email, taps in an app or page views in a browser. She is passionate about education and has been teaching computer science and data analysis for a decade to various audiences including students and non-technical professionals. She is the co-founder of R-Ladies Budapest, which -- as a local chapter of R-Ladies Global -- promotes gender diversity in the R community. Joanne is Centrica’s Head of Mobile User Computing. 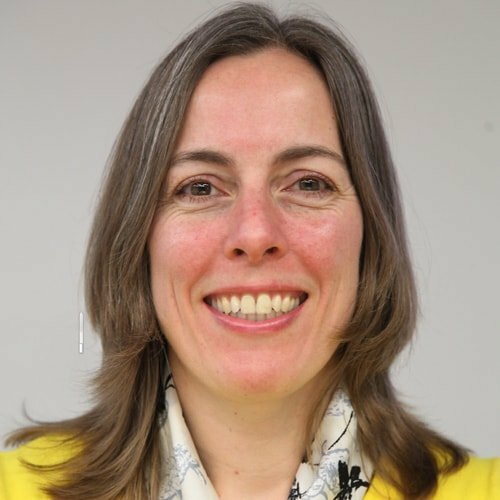 She’s also an active campaigner for gender diversity in her organisation and an energetic member of the Centrica Women’s Network, being a chapter lead for Leicester. 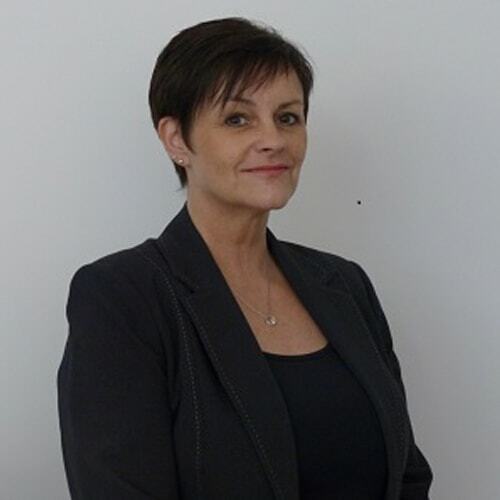 Joanne has launched two mentoring programmes in Centrica. She’s done this of her own volition, having spotted a gap in the development tools available in her organisation. Her passion makes her feel empowered, and great success has come from this. Joanne takes great inspiration from women who have faced challenges, and this drives her actions to make the workplace better for current and future generations. Joanne is also a mentor to two ladies. In this role he is responsible for overall Information Governance, including Risk assessments and response activities which encompass the evaluation, mitigation and reporting of information and privacy risks facing the Company. This includes leading an enterprise wide Information Risk Management (IRM) program covering Intellectual Asset Protection (IAP), Data Privacy (acting as the Data Privacy Officer) and Enterprise Records Management. 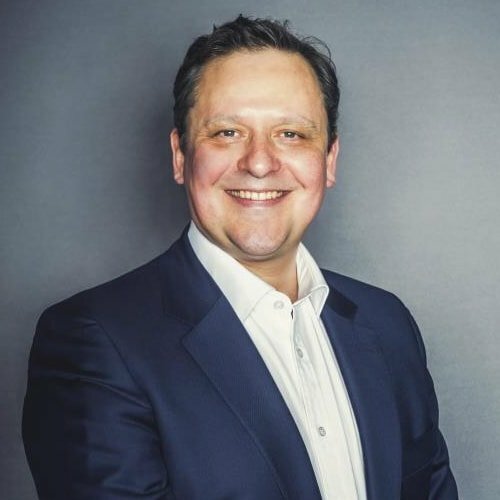 He is currently Co-Chair of Spectrum Europe (The European chapter of Air Products’ LGBT+ Employee Resource Group) and is on the Tech Partnership Degrees Employer Board. His volunteering activities are focused on STEM related mentoring, education and awareness with Tech Partnership Degrees and charities such as SATRO and TeenTech. Previous business roles include in the Air Products’ Corporate Risk Office, as Director of Intellectual Asset Protection. Prior to that, he has held various IT leadership roles including Global Director of Business Relationship Management and Director of IT Security, Compliance and Risk Management. Over his career he has lived and worked in Germany, the Netherlands and the United States of America. Olivia is an International award-winning speaker. 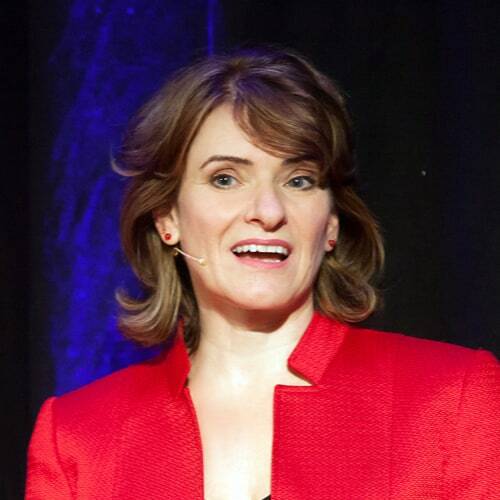 She has worked as an Executive Trainer, Coach and International Keynote Speaker on five continents in 24 countries. 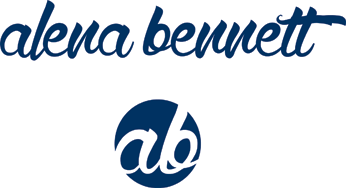 Her clients include American Express, BNP Paribas, Gore-Tex, Hoffman La Roche, Shell, Zalando, IBM, Microsoft. She learned her craft in the theatre; add a First Class Honours Degree in Communication and Linguistics, and over 20 years experience in production and sales for media companies including the BBC and Thomson Reuters, and you realize she knows exactly what she is talking about. Quoted in Forbes Magazine, Olivia says, “Most companies spend their energy on branding, marketing and sales rather than on polishing the presentation and delivery of their people”. Kaitlin D'Avella is a Copy Lead at TransferWise, one of Europe's most successful fintech companies. TransferWise is working to make moving money across borders instant, convenient, transparent, and eventually free. She leads a team that crafts content for users who need help. Before TransferWise, she worked in digital marketing for the likes of Workday and UNESCO. Gail Orenstein, has been a photographer for 23 years. She lives in London and is a member of The NUJ and The International Press Association and is both CAA and FAA licensed. She is Drone journalist. Gail was the first female to drone in Kurdistan, Iraq during the Mosul offensive in Iraq 2017. She has travelled often on her own to 84 countries and droned in 21 countries. She has photographed and droned in many conflict zones often the only female photographer in the field at the time. She was a Press photographer for The Chicago Immigration and Naturalisation office. Her recent work has focused on her drone journalism work in conflict zones. Her drone footage and photography work has been distributed world wide including CBS news, Der Stern, Aljazeera, Rudaw, The Guardian, The Chicago Tribune, The Times, Slate, Mashable, Washington Post, TIME, The BBC, The Telegraph, Kurdish TV24, Microsoft and many more. Yasmeen leads multiple teams delivering strategic, commercial and legislative projects across the breadth of business at Channel 4. 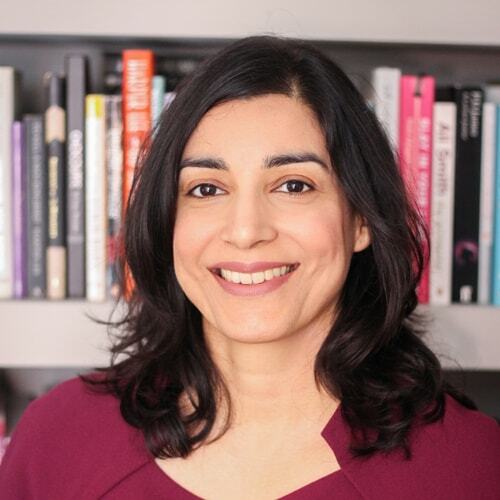 Having worked for Channel 4 since 2006, Yasmeen is now a subject matter expert in a number of areas within the company. 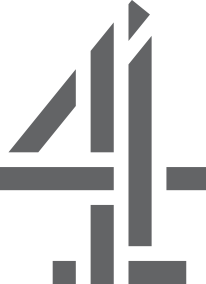 Channel 4 is a British, public service, free-to-air television network delivering innovative ground-breaking content to the public. This includes, as a top priority, diversity in TV and the media both in the content they commission and within every level of the organisation. Yasmeen is part of the Channel 4 ‘Women in Tech’ working group, currently focussed on retaining, recruiting and development. 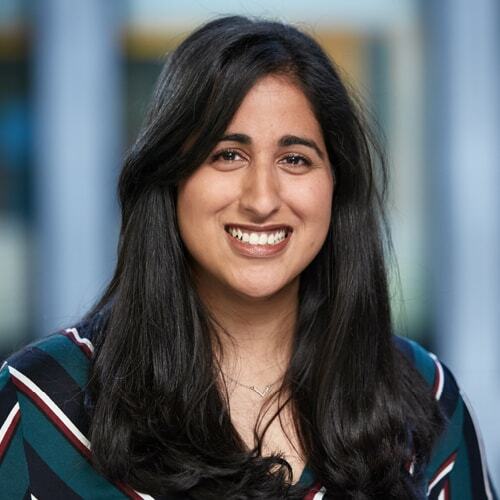 Prior to working at Channel 4, Yasmeen worked at Atos Origin within Systems Integration in a variety of roles on a wide range of Public Sector projects. With a BSc in Computer-Aided Chemistry from the University of Surrey, Yasmeen has always enjoyed applying computation solutions to practical problems. Coupled with a comprehensive background in systems analysis and solutions architecture, Yasmeen is passionate about technology and advocates smart, pragmatic solutions. Tash is a Senior Cloud Security Engineer at Photobox Group (which includes Moonpig, PosterXXL, Greetz! and Hofmann) and previously a threat modelling engineer in financial services. She is currently building tools and processes to automate all the things/ make the Cloud more secure. She is also a contributor to a few threat modelling projects and resources via OWASP and other community events. 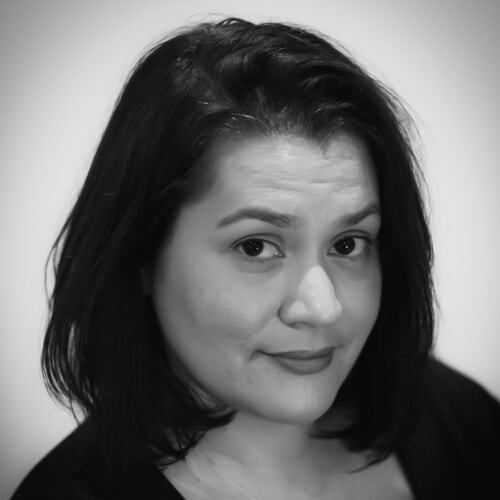 Tash is also on the review panel for DevSecCon and an avid advocate for Women in Tech/Cyber, appearing at various tech and security events and meetups to talk about both technical and behavioural topics. Ellena Ophira is a successful entrepreneur and CEO/Founder of Weddingly, a dynamic B2B2C platform that makes wedding planning more social, personal and intuitive. 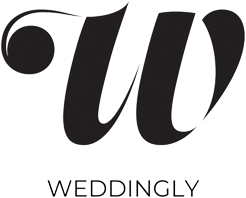 As pioneers in WedTech, Ellena and her women-led team are on a mission to bring innovative Technology to the dated Wedding Industry. 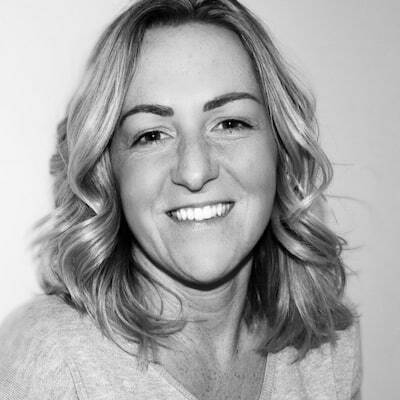 With over 10 years experience in Marketing and Strategy, Ellena has worked with leading Brands such as John Lewis, LK Bennett and M&S, as well as supporting the launch and growth of over 200 Startups and SMEs. Ellena started her first business in her early twenties and is a passionate advocate for entrepreneurship in Women. She is also proud to be featuring in a new book, celebrating Female Founders, alongside inspirational women such as Martha Lane Fox. Inken joined Halma plc, a FTSE 100 global group of life-saving technology companies, in July 2017. Inken is Halma’s first chief innovation and digital officer, a role that is pivotal in helping Halma achieve continued growth, drive innovation and realise our purpose of growing a safer, cleaner, healthier future for everyone, every day. Inken is helping to foster a group-wide digital culture. Inken and her team contribute to each of Halma’s sectors and operating companies to develop their unique digital vision and value creation model. This includes developing or acquiring digital platform capabilities that all operating companies can benefit from or finding the right partners to accelerate their business plans. Before joining Halma Inken was the Chief Innovation Officer of innogy SE, a renewable energy company based in Essen, Germany and subsidiary of the German company RWE. Prior to that Inken was MD of RWE’s Strategy and Management Consultancy practice. Inken is a member of Halma’s executive board. Vanessa Menchaca-Wachtmeister is a B2B Global Launch Manager at Hotels.com and an accomplished travel writer behind the blog: wanderonwards.co. Originally from Los Angeles, Vanessa has spent the last decade bouncing between Beijing, Boston, and London pursuing a career in tech whilst exploring over 40 countries. She has a BA from Boston College, a Masters in International Development from SOAS (University of London), and her real passion is teaching people how to travel farther, longer and for less. When she’s not on a plane, she enjoys learning languages, developing her skills, and cooking with her husband and cat. Panni joined Funding Circle as MD International in 2014 and has been an integral part of the business’ growth and expansion ever since. 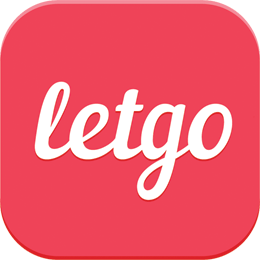 To date, 88,000 investors have lent £6.3 billion to 62,000 businesses through the platform across the UK, US and Europe (31 Dec 2018). In 2015, Panni led Funding Circle’s expansion into Germany and the Netherlands. Today, Funding Circle is the leading small business loans platform in the two markets. Under Panni’s leadership, Funding Circle Germany and the Netherlands have revolutionized the experience for both borrowers and investors, which includes businesses receiving an initial decision in just 24 hours. Obsessed with helping professionals deliver results by creating better business relationships, Alena uses her years of global professional experience and expertise as a speaker, accredited coach, facilitator, motivational profiling practitioner and Chartered Accountant, to identify and unclog outdated practices and unleash the potential and innovation that lies within each individual and team. By connecting technical and leadership skills, she arms leaders with the capability to tactically and practically navigate their teams through the depths of crunch time and lift them out of the back-office. She focuses on the power of relationships and conversation to deliver the impact and influence required - fast! Expect to be challenged - this is where the growth occurs! Cara de Lange is a wellbeing mentor, coach and speaker. She is the founder of Softer Success – Be More Gentle with Yourself. Her program Prevent Burnout, Find Balance enables individual clients and corporate teams to create a more harmonious, peaceful and productive life. Cara shares simple tools and tips on how to slow down, increase energy and become more resilient. Cara is an associate of and works closely with the International Stress Management Association (ISMA). She is also a member of the organising committee for International Stress Awareness Week. Her first book ‘Softer Success’ – Prevent Burnout Find Balance and Redefine your Success launched in March 2019 and is available on Amazon. Joanna Chwastowska graduated in Computer Science from the Academy of Science and Technology in Krakow, Poland. She's then joined newly open Google Krakow office, and worked as Software Engineer, growing from an individual contributor to Tech Lead Manager across the following 8 years. On her next adventure she's been an Engineering Site Lead for a fashion startup from New York (shopspring.com). In summer 2017 she's moved to London to work as an Engineering Lead for Google's DeepMind Health team. Engineer at heart, manager by choice – she loves to explore human nature and build strong engineering teams. By doing so she hopes to help others (and herself;) to grow, and have greater, positive impact on the world. Wei is the Head of Engineering at Glue Home, a rapidly growing start-up company providing a platform and ecosystem that enables smart, controlled in-home access for people, products and services. She has been a software engineer for 9 years in Lovefilm and Amazon before moving to a management role where she led Amazon Video International scaling programme across 16 engineering teams and 3 geographic locations. Following Amazon, Wei moved to Capital One where she established the London Engineering Hub. Beyond her core engineering role, she proactively contributed to Women In Technology (WIT). 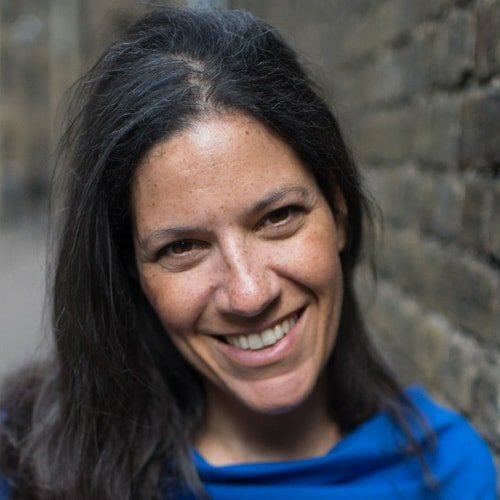 She directed the London Capital One WIT Community and brought it to the Women Of Silicon Roundabout in 2017 and 2018. Wei was also a scholarship reviewer of the 2017 Grace Hopper Celebration of Women in Computing.